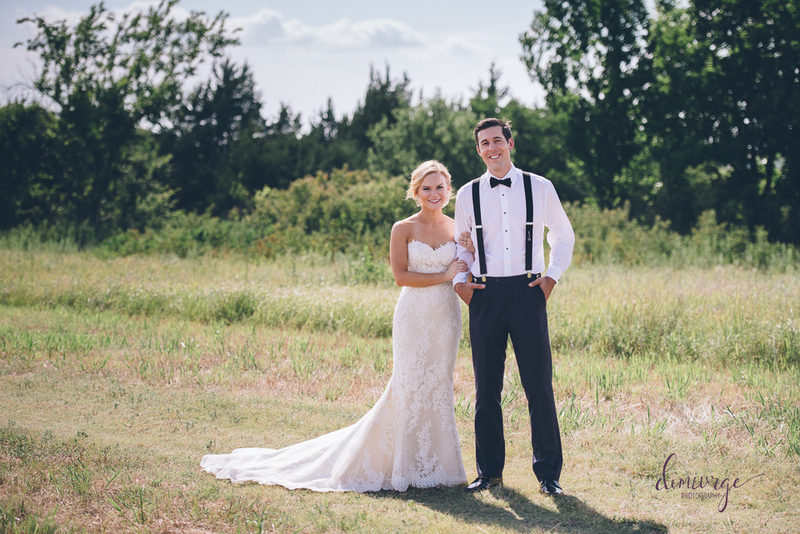 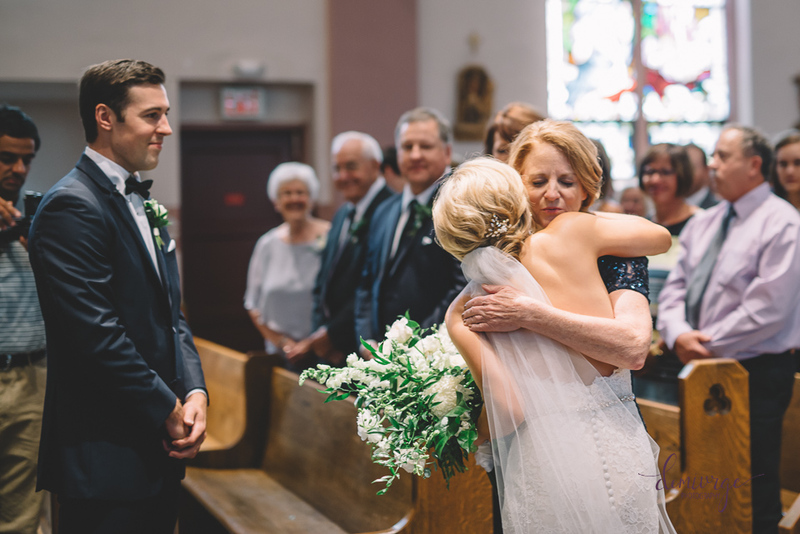 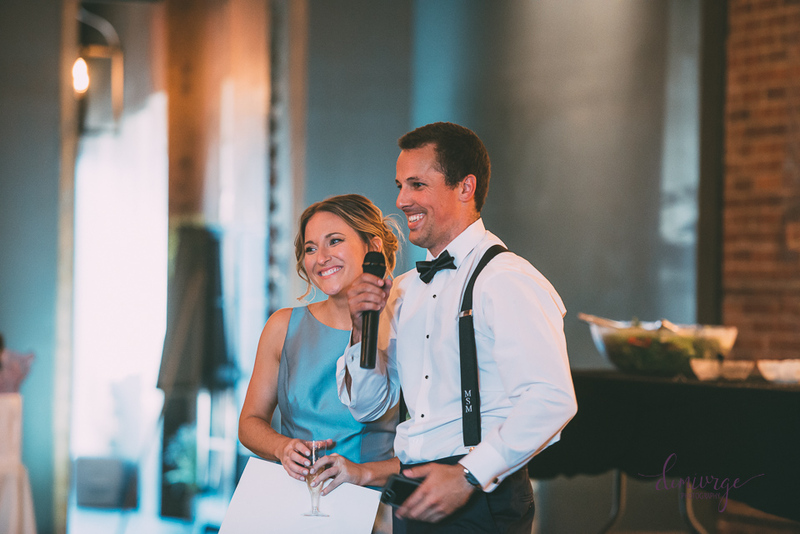 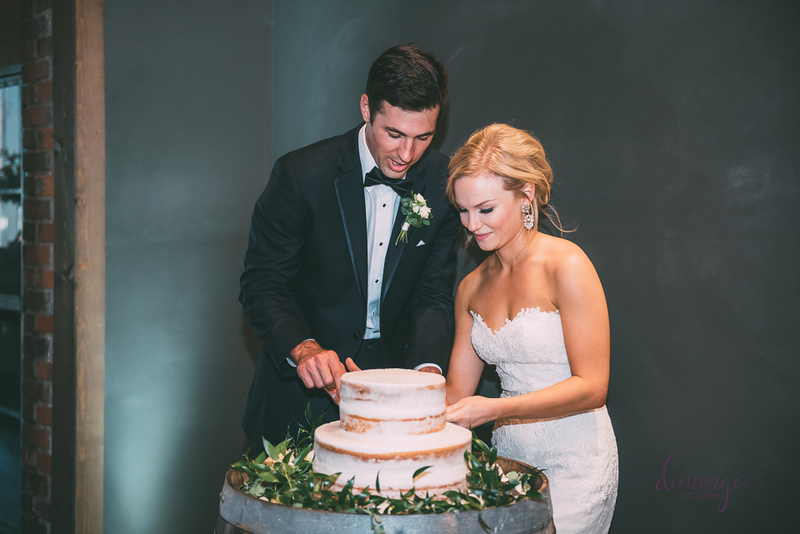 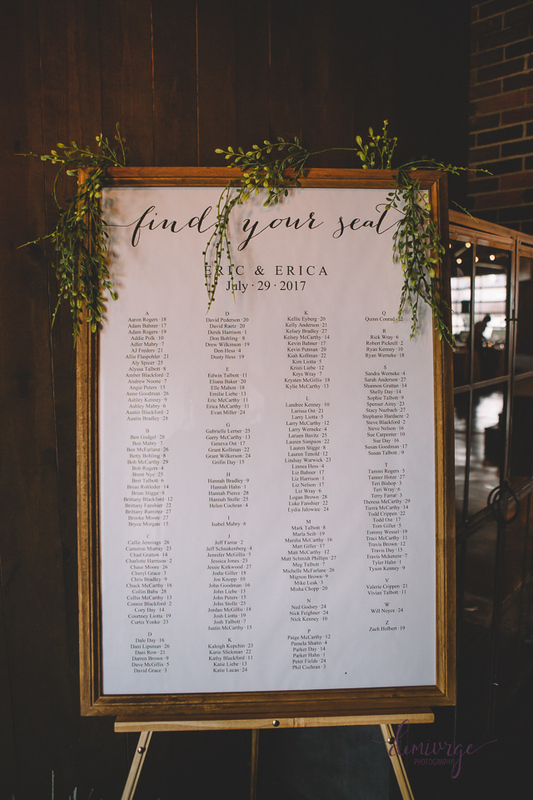 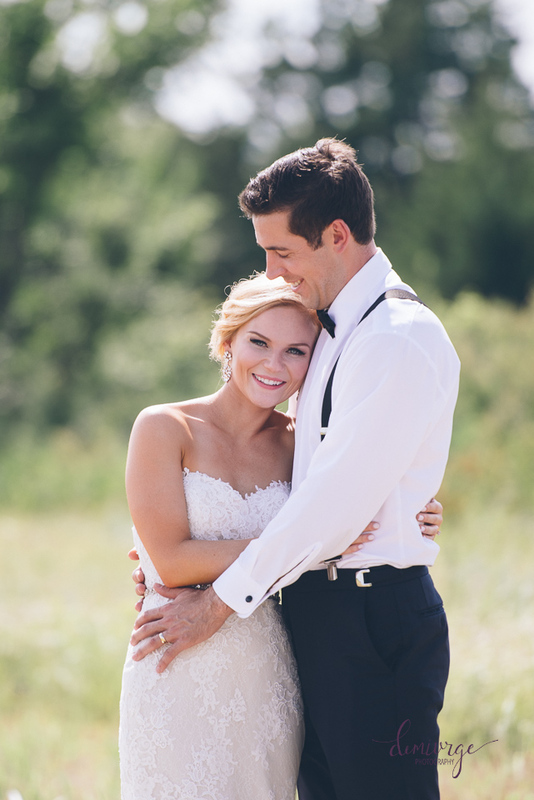 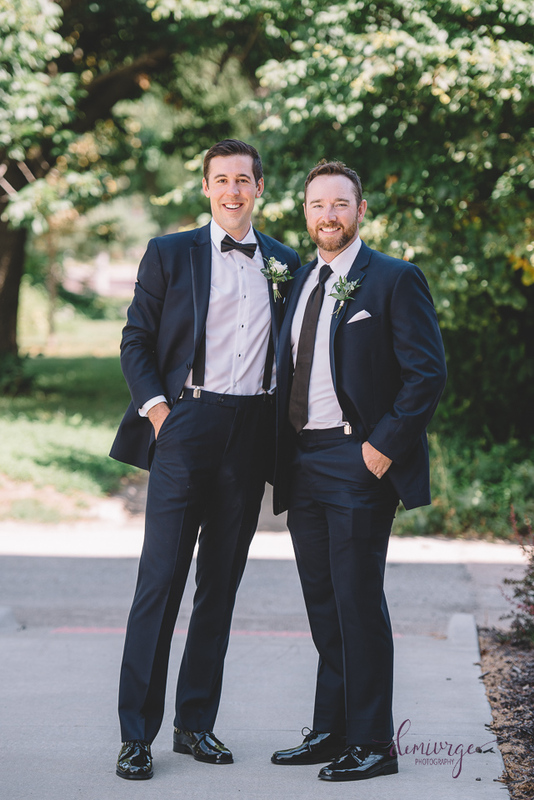 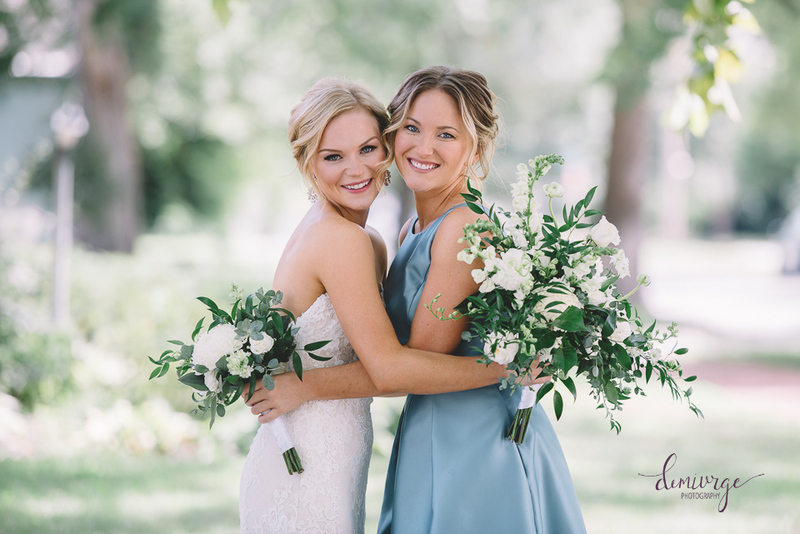 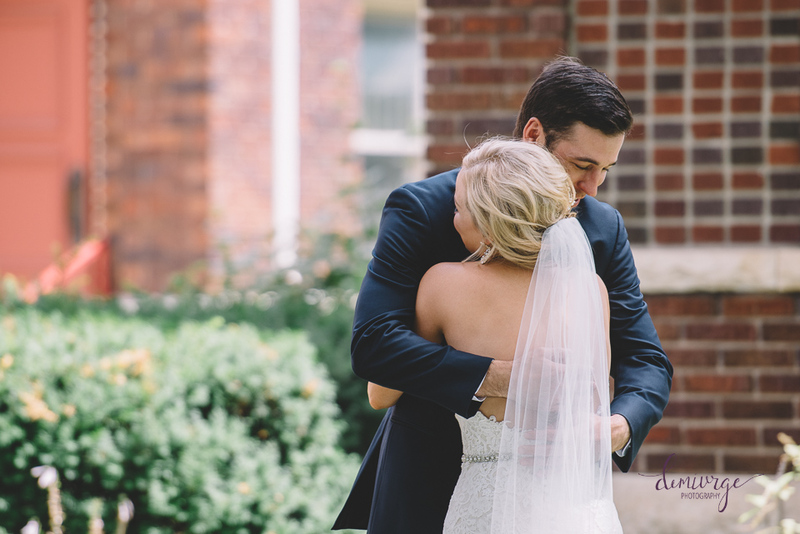 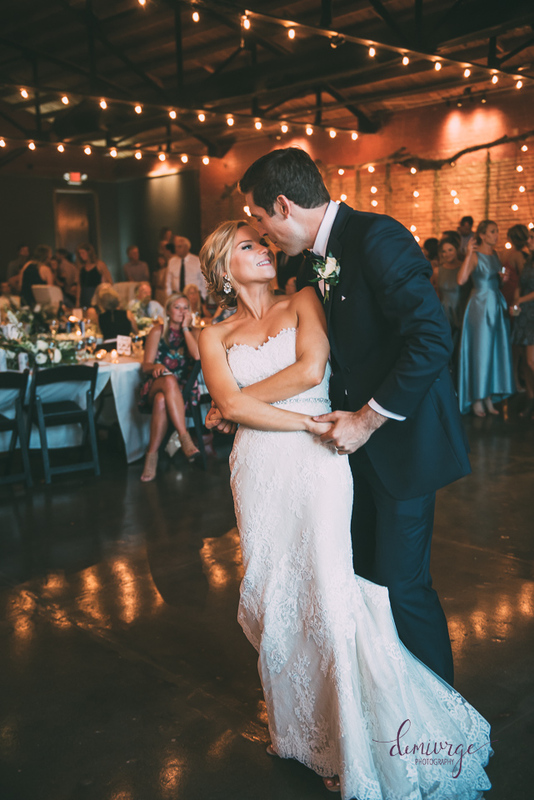 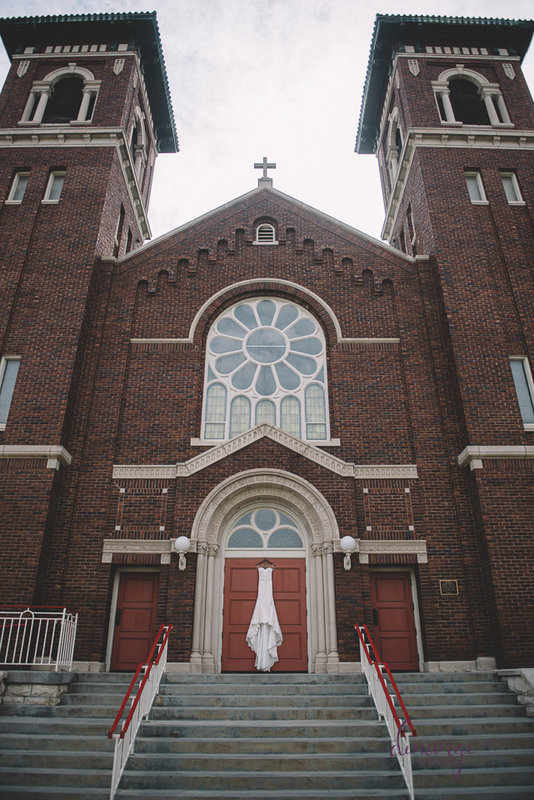 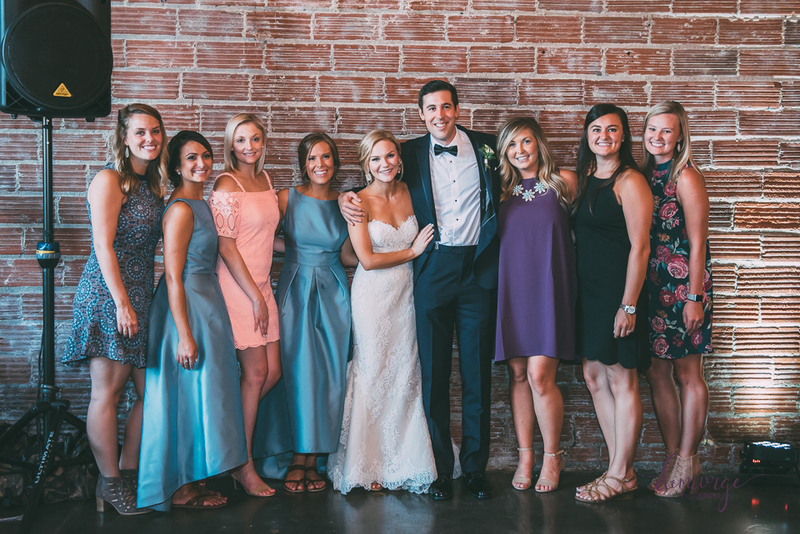 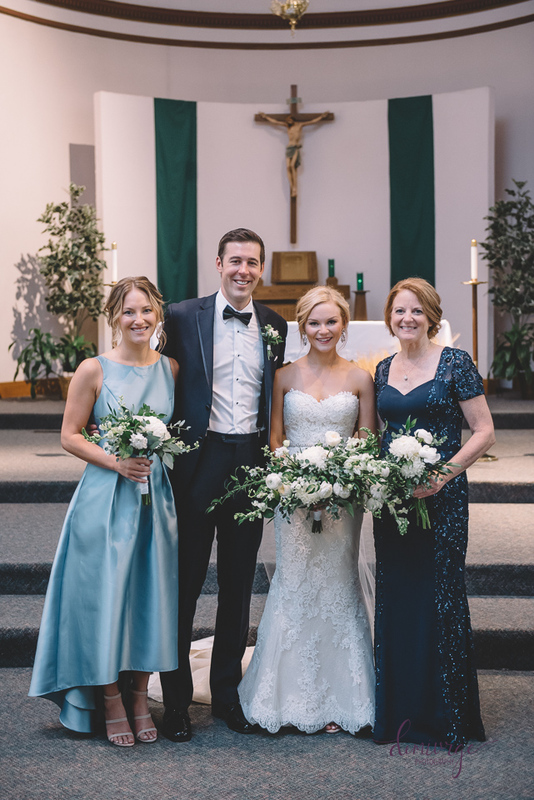 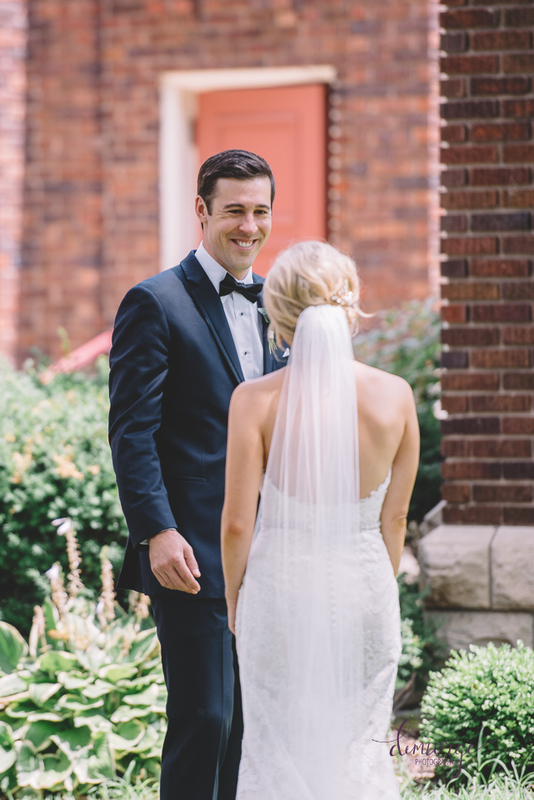 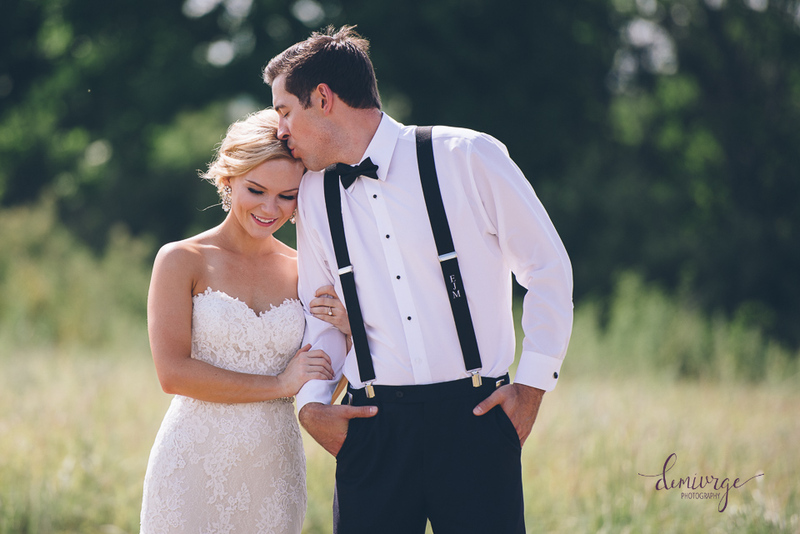 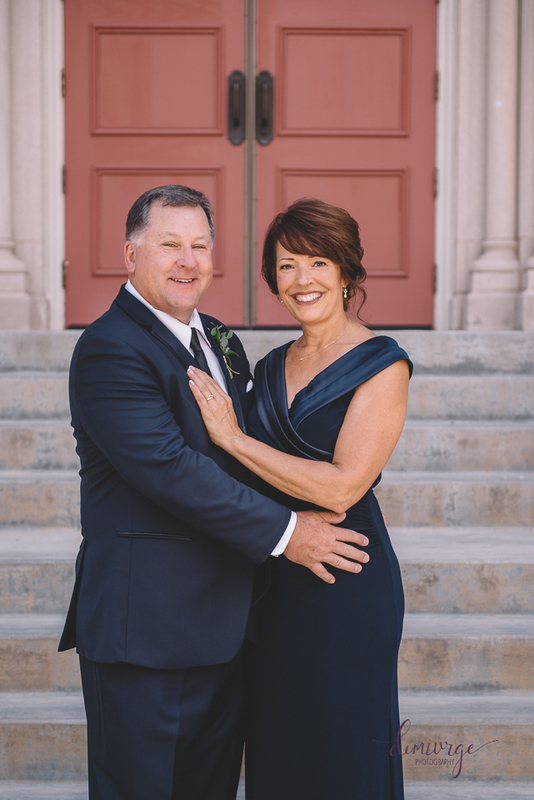 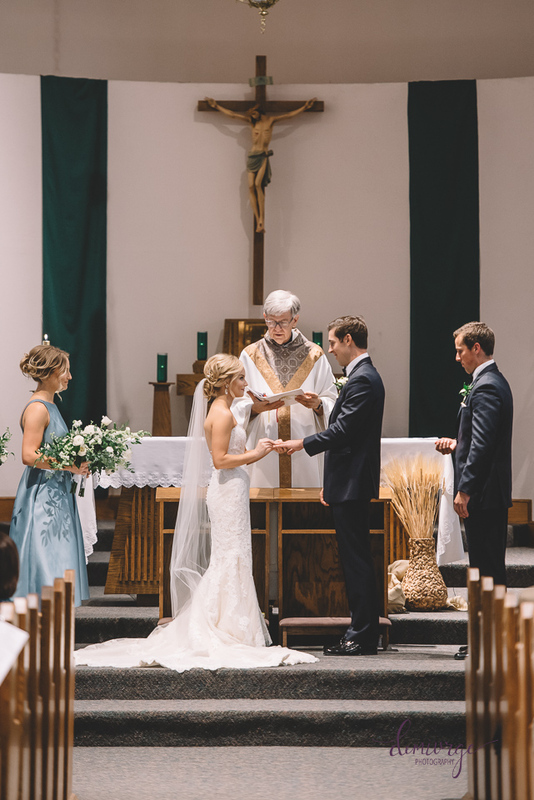 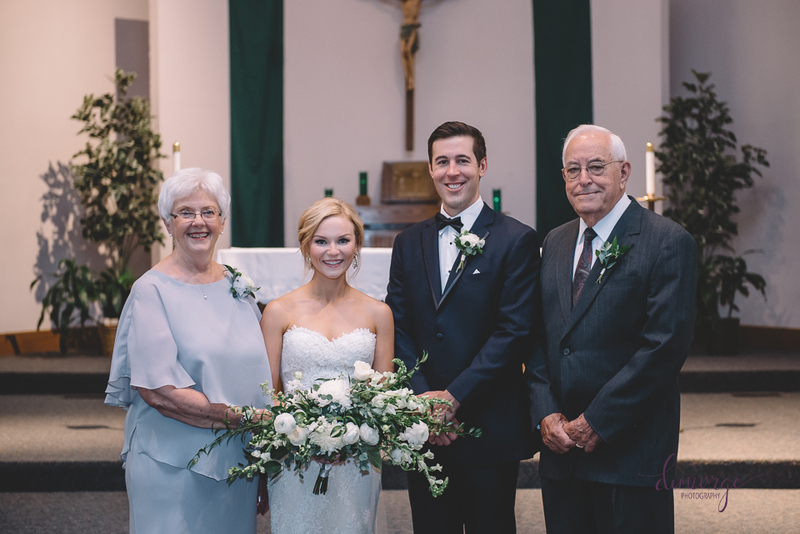 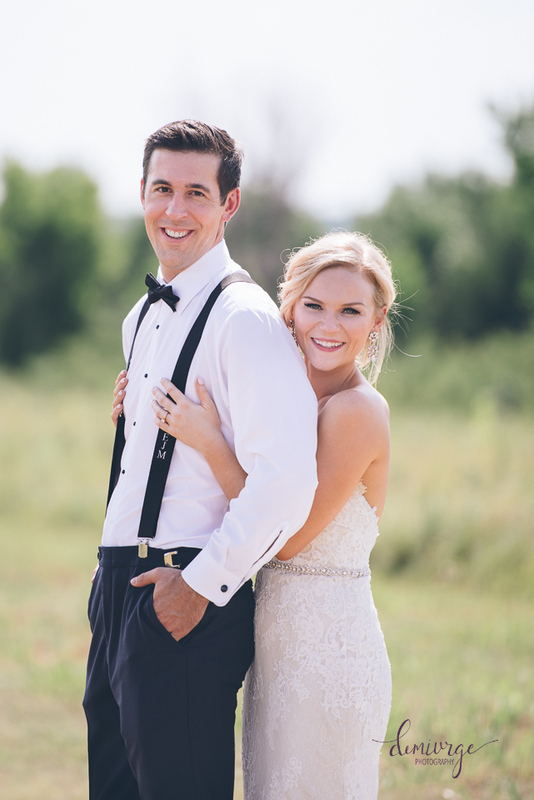 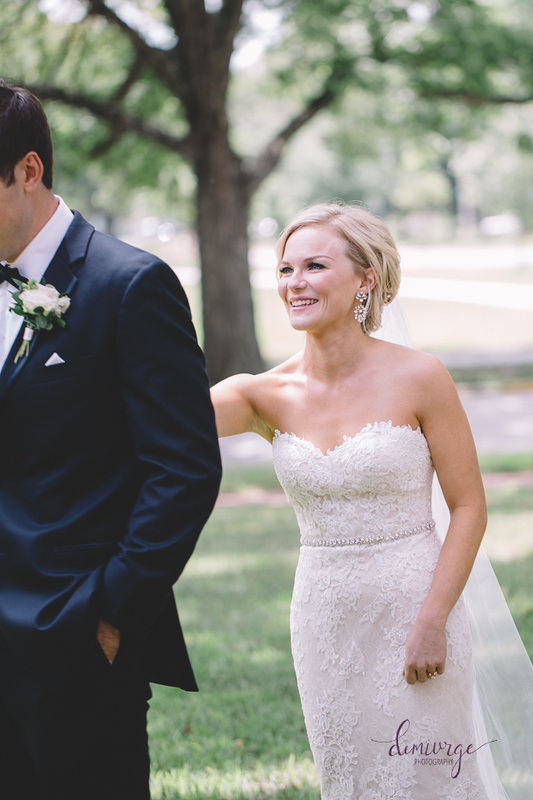 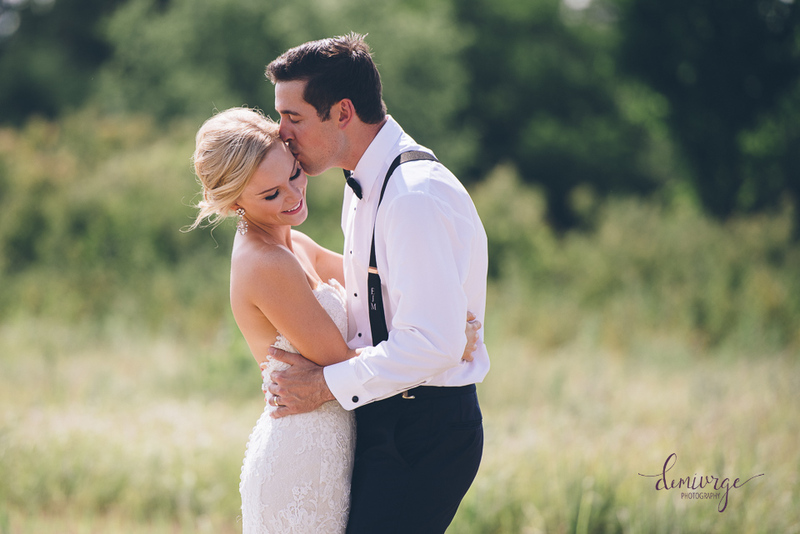 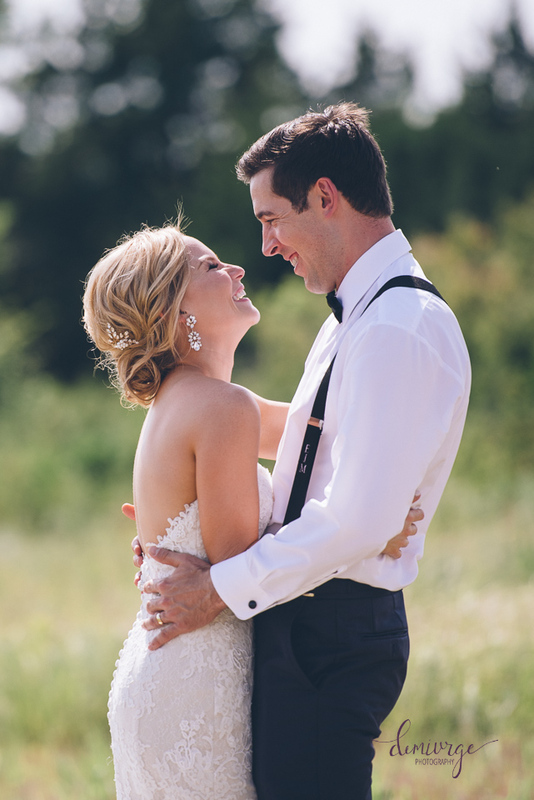 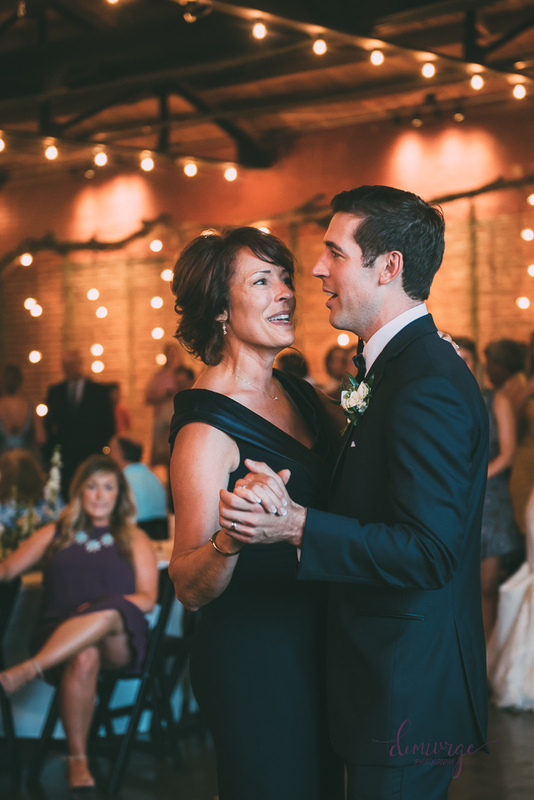 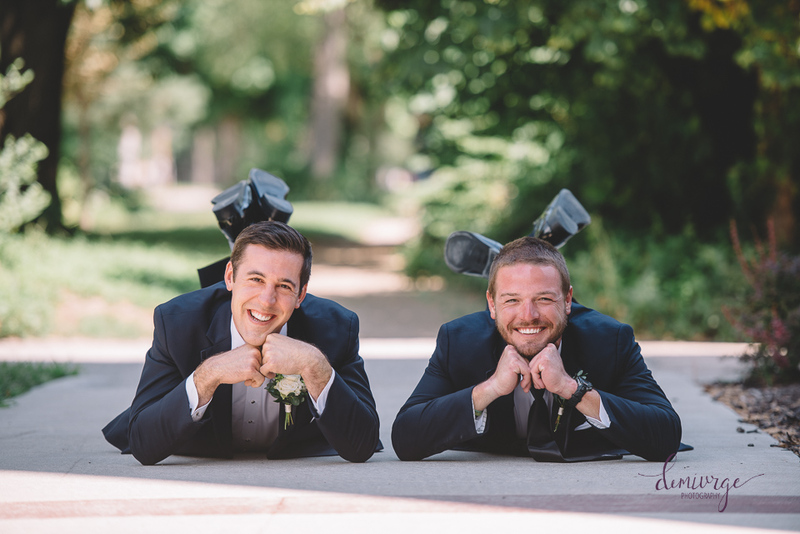 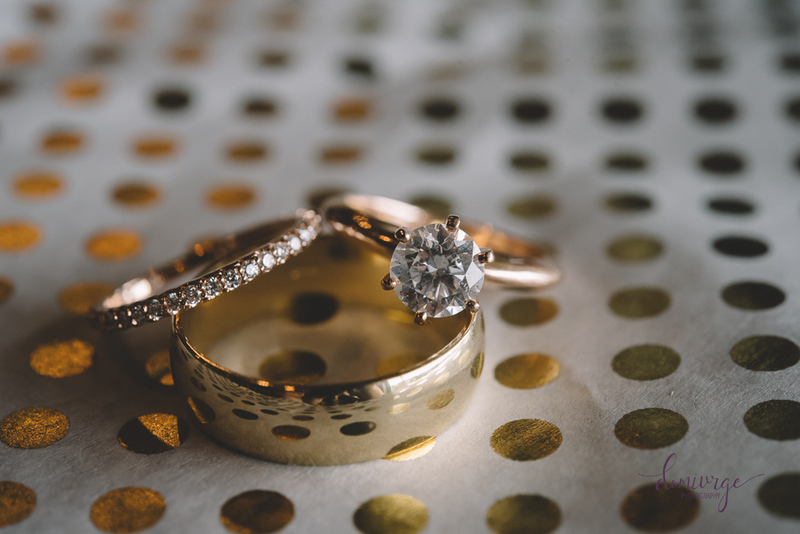 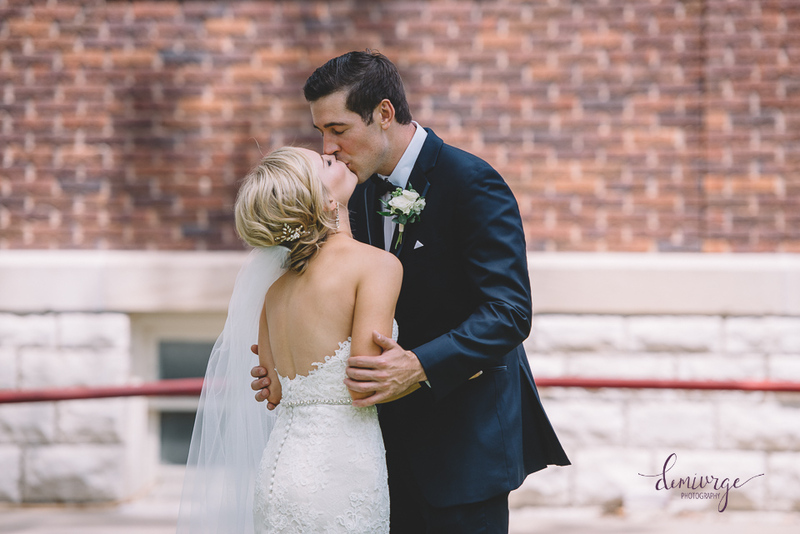 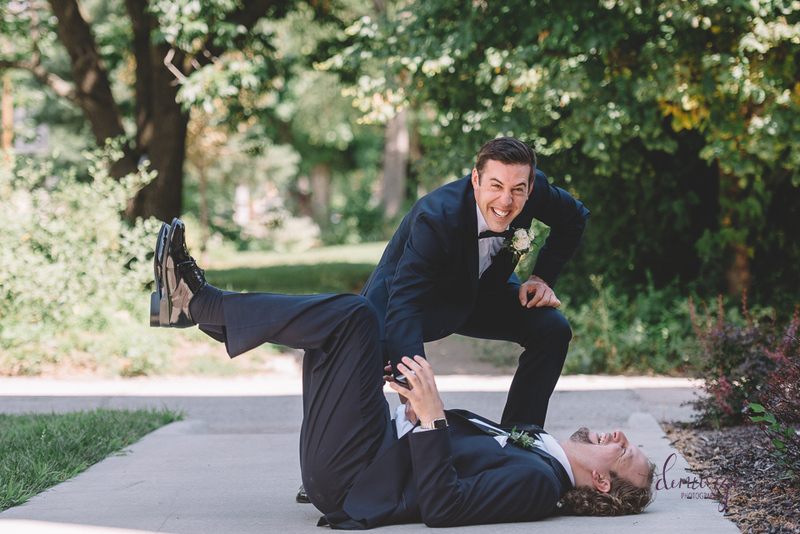 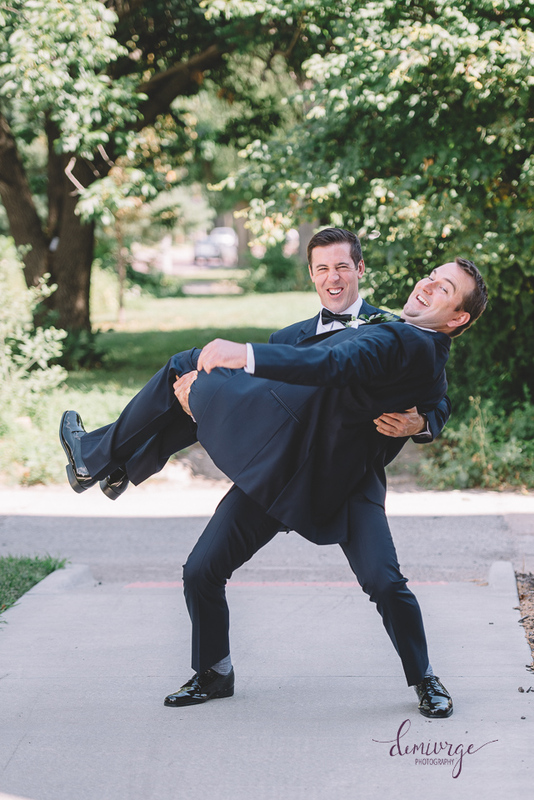 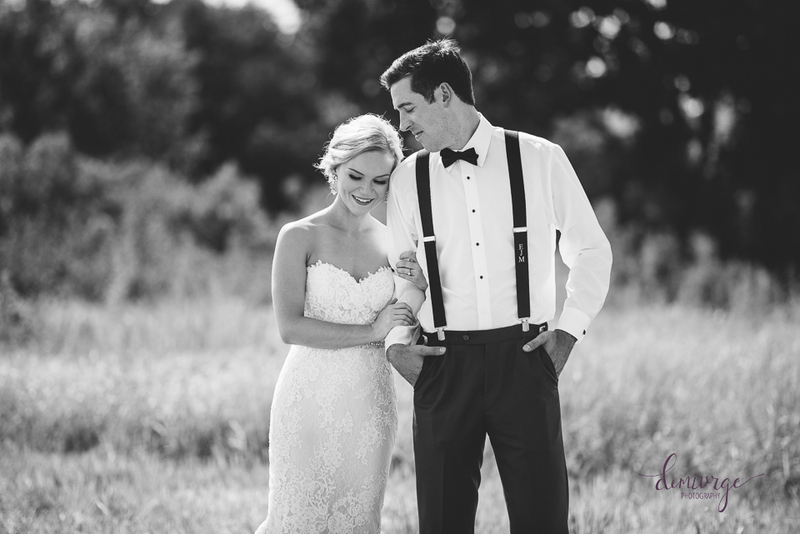 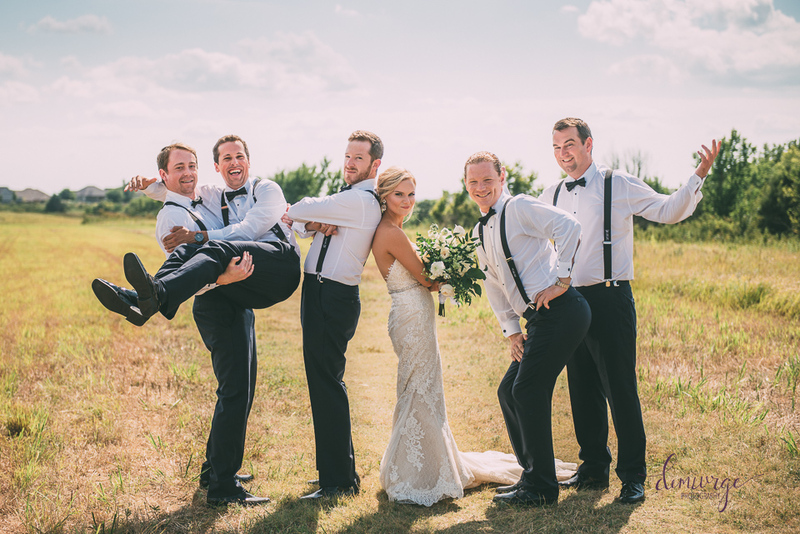 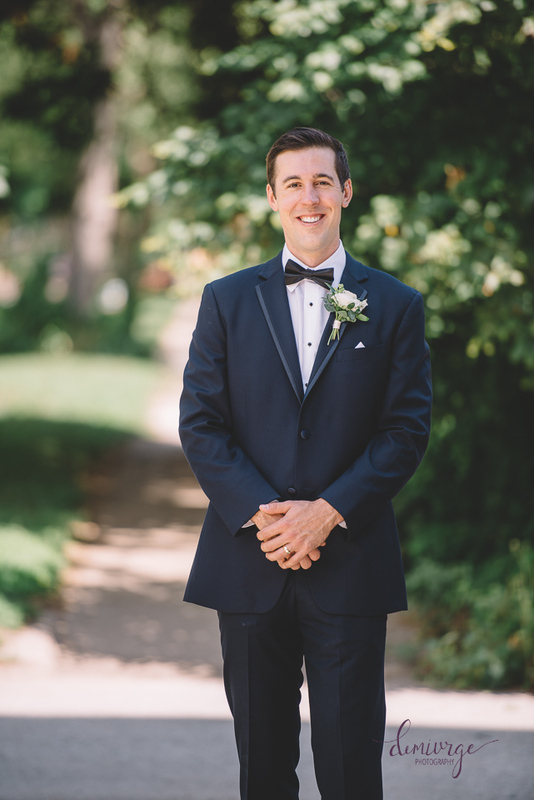 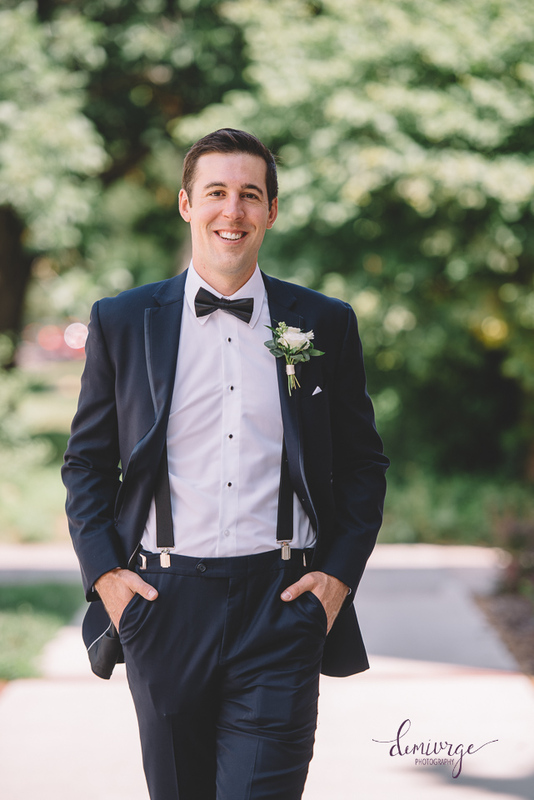 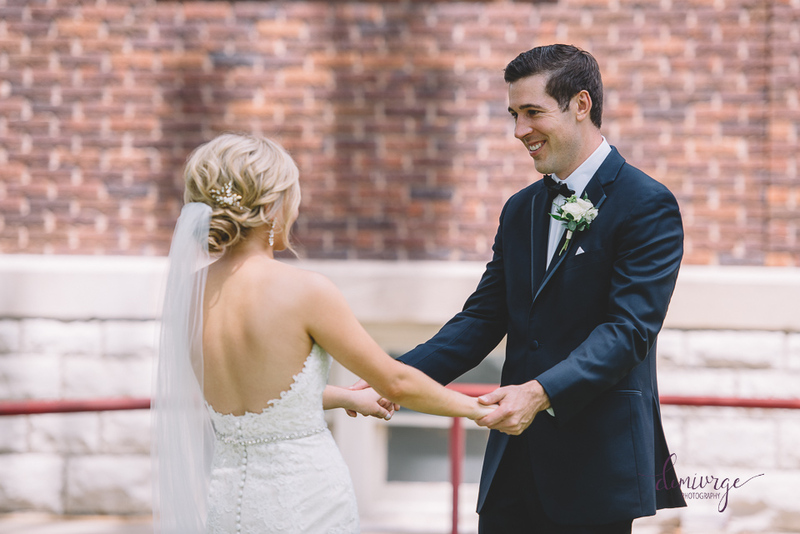 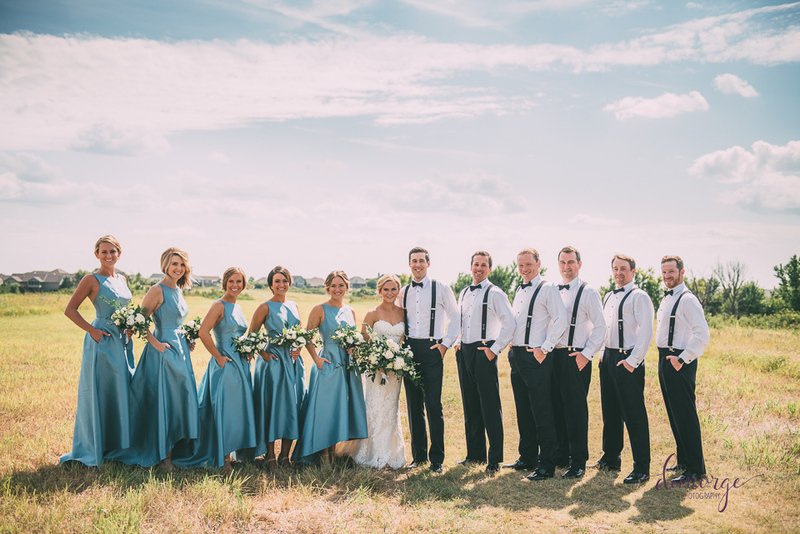 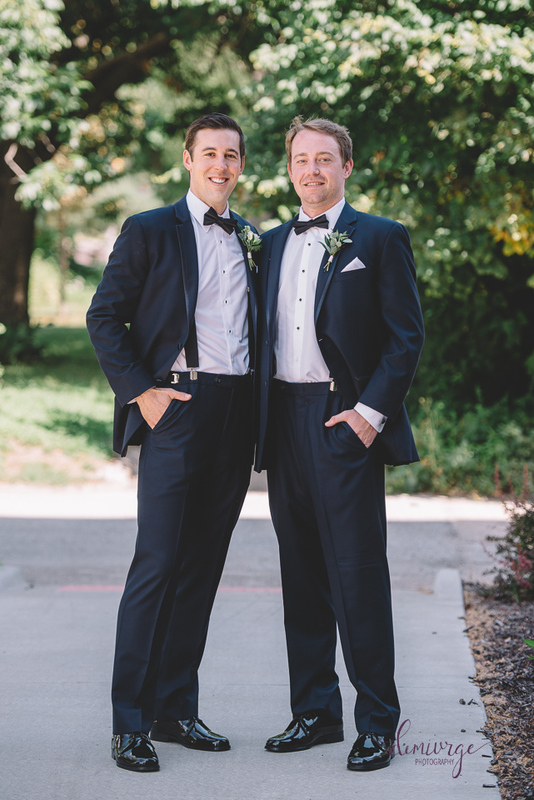 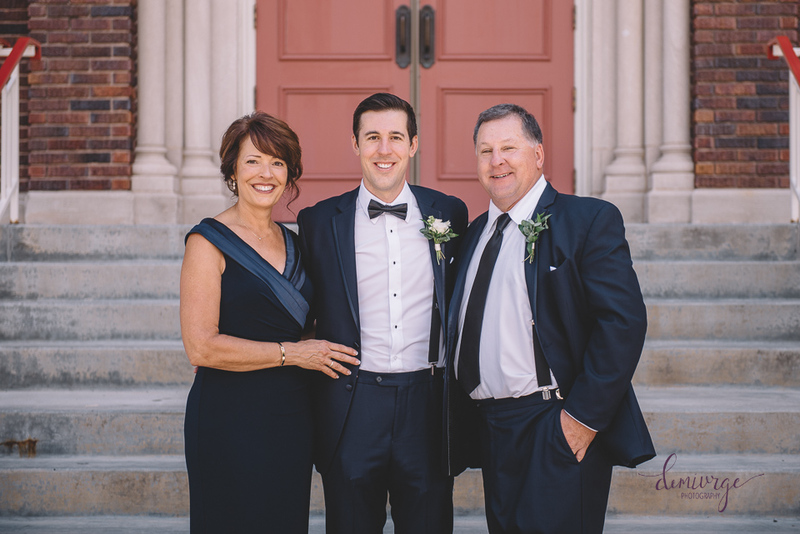 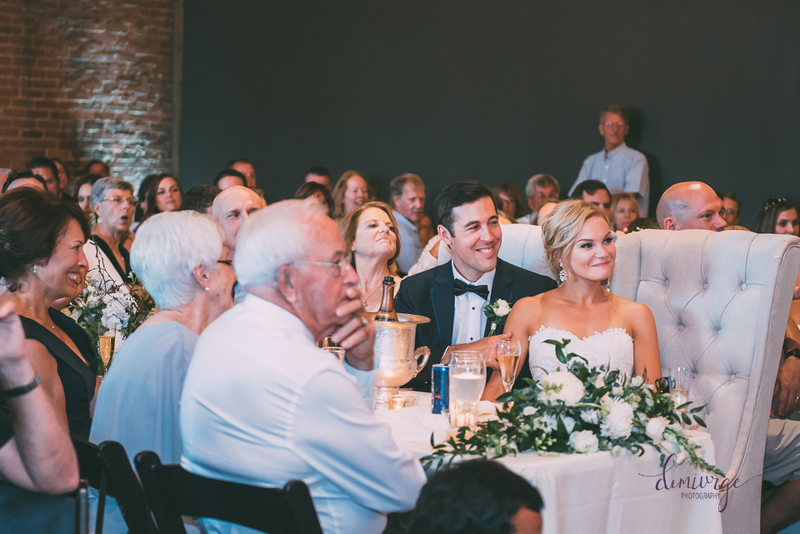 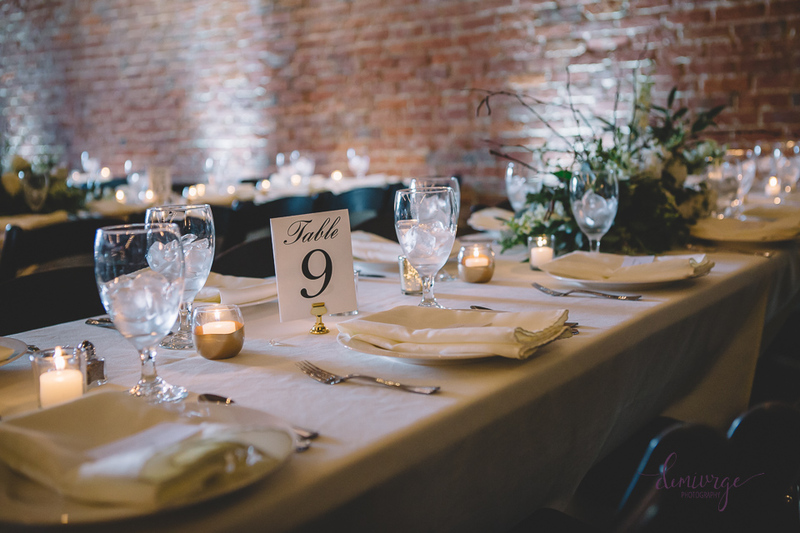 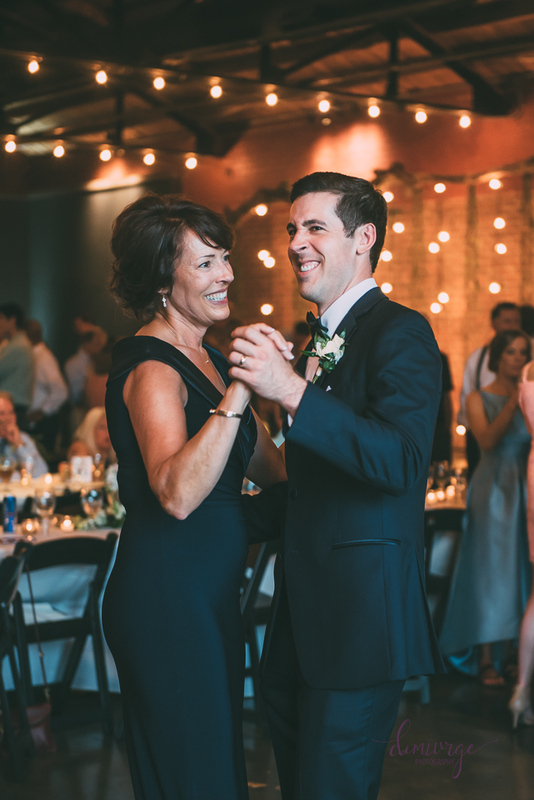 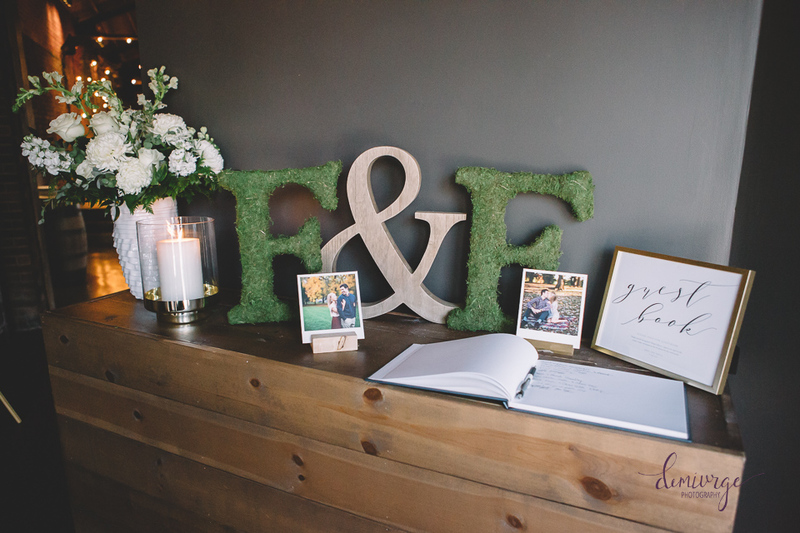 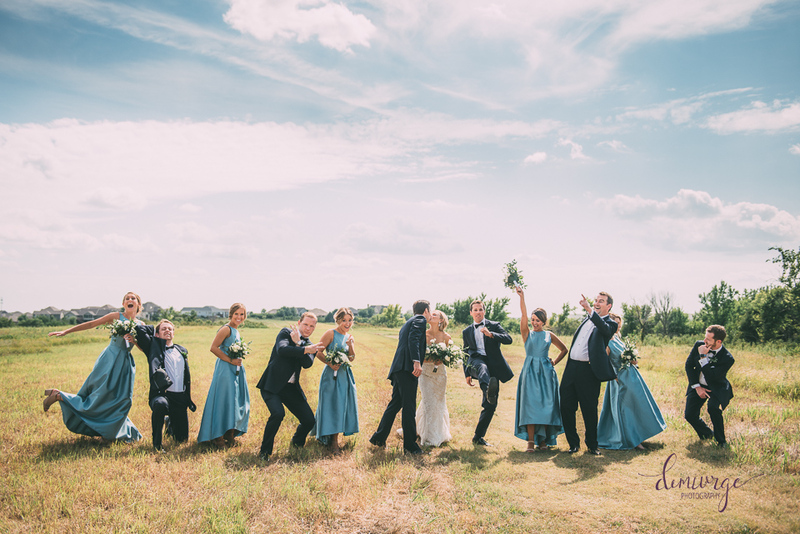 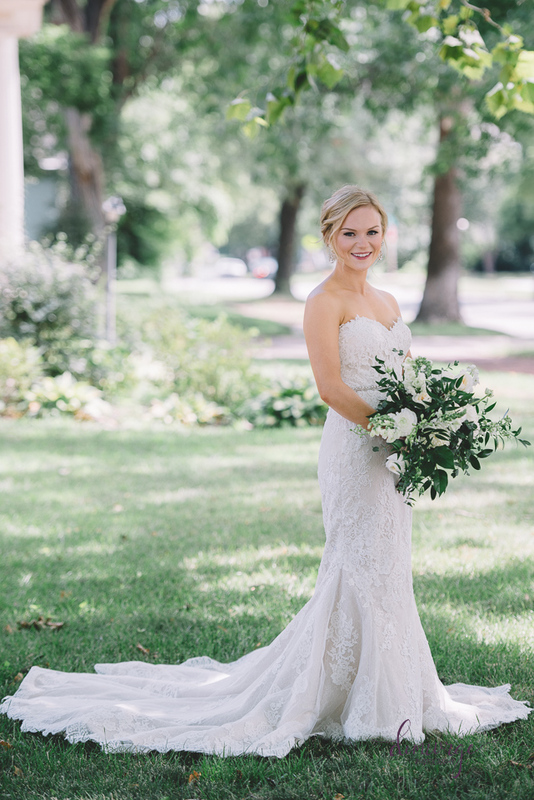 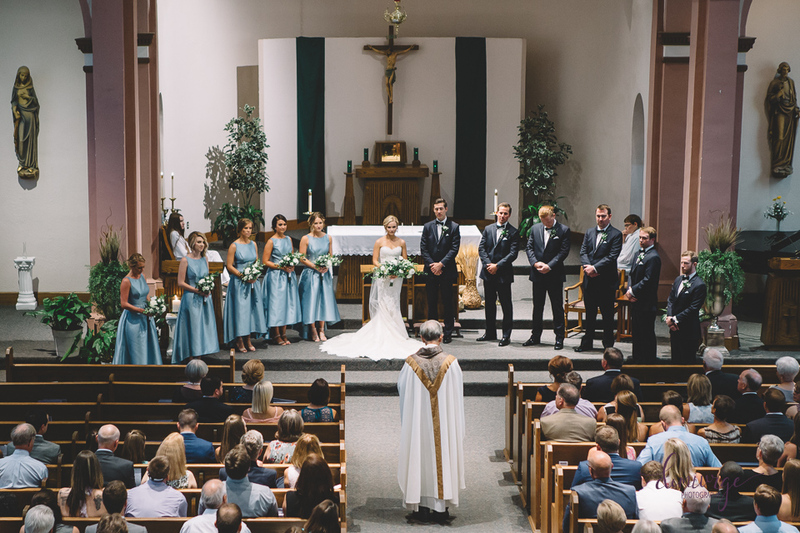 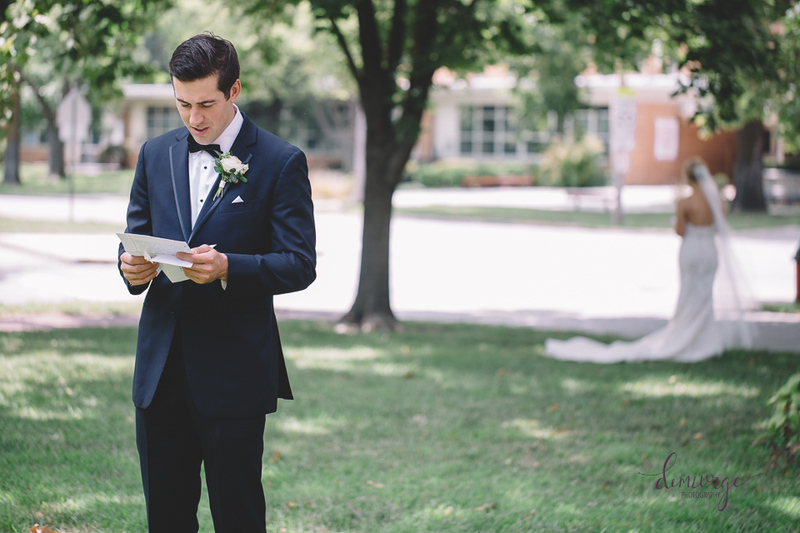 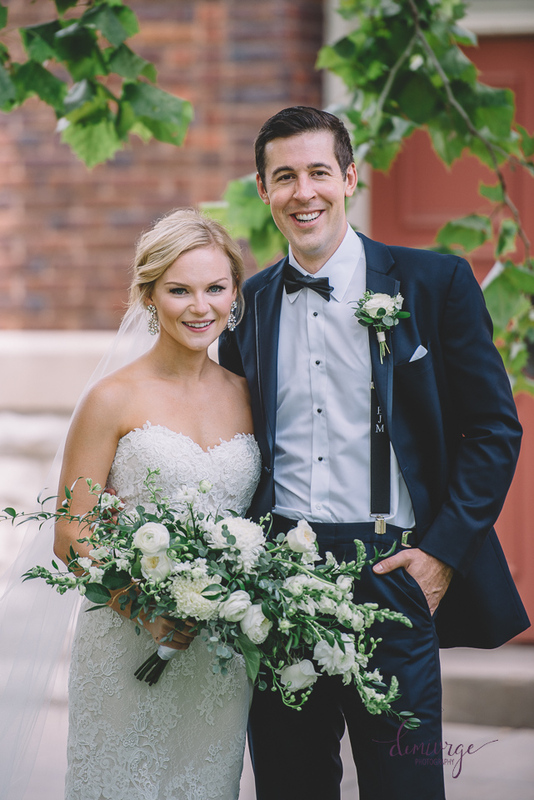 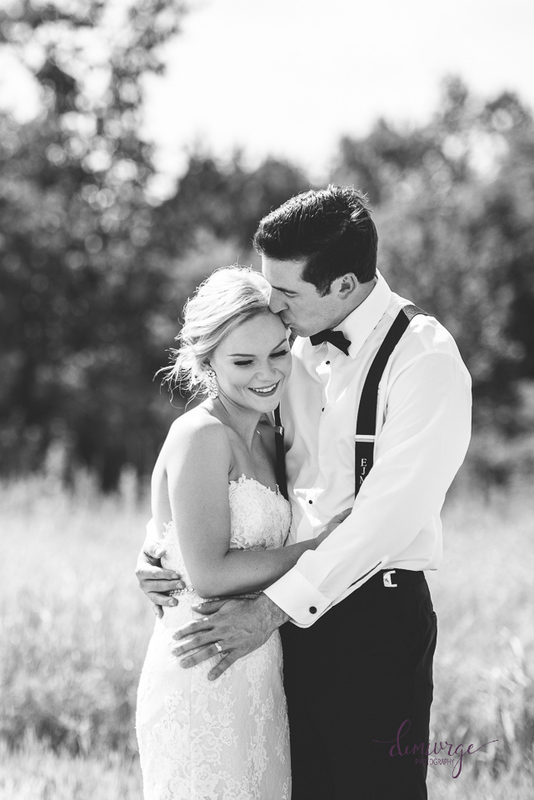 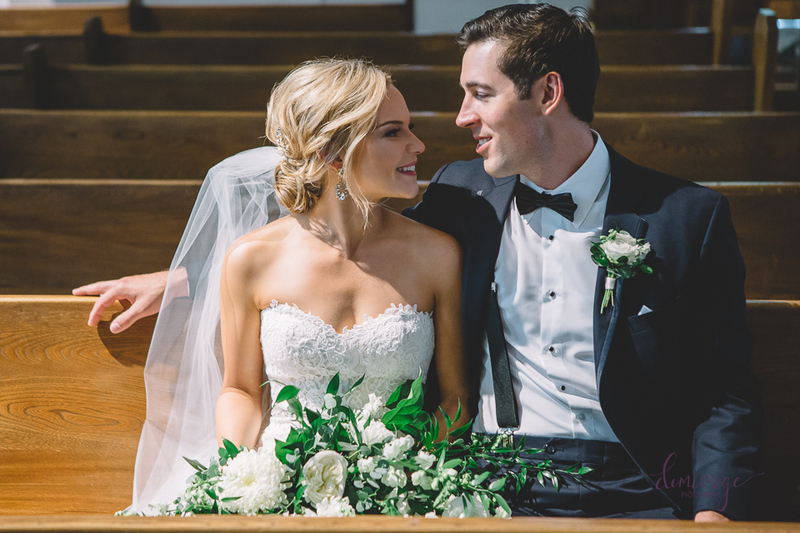 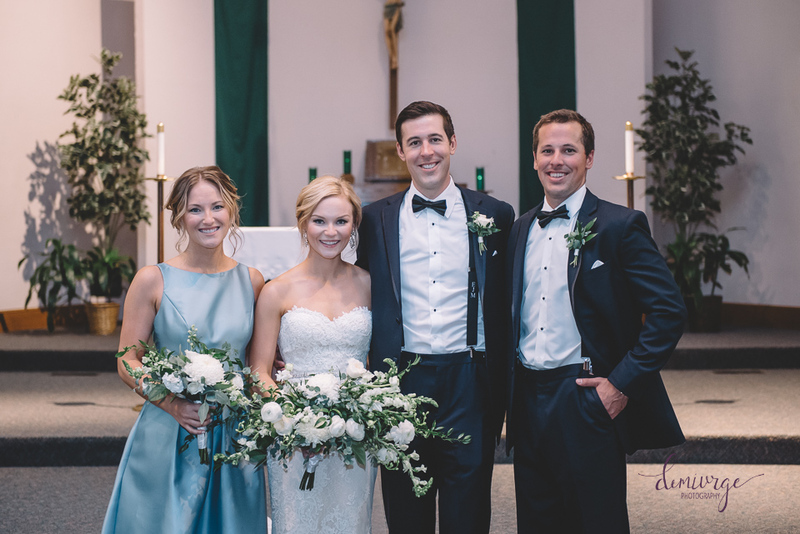 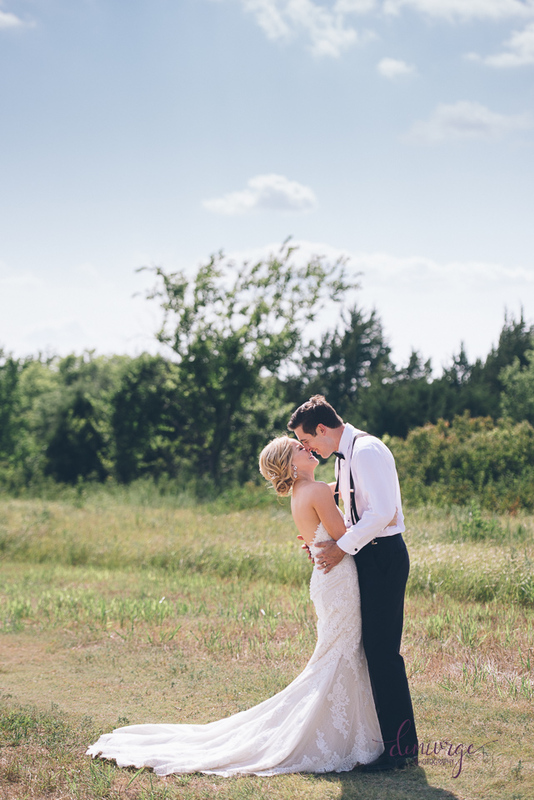 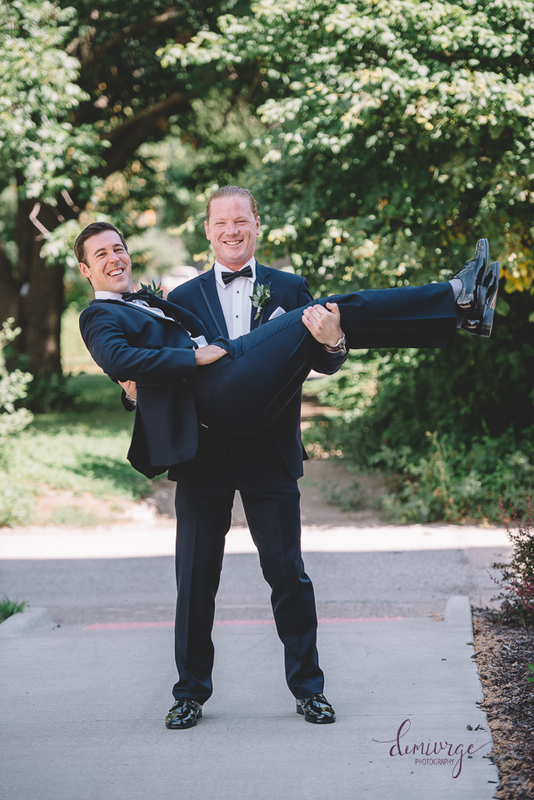 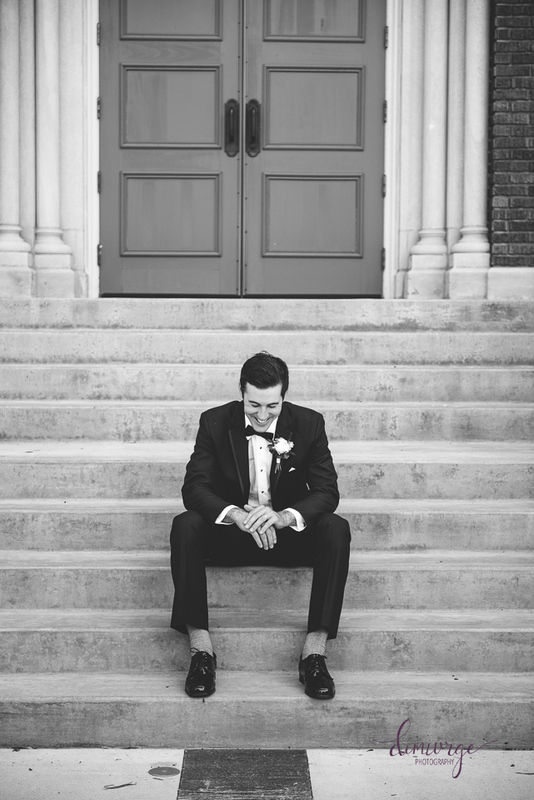 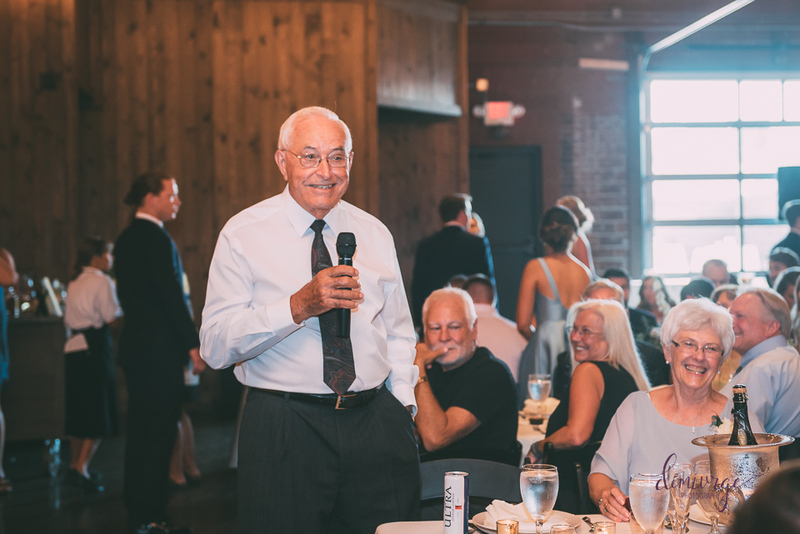 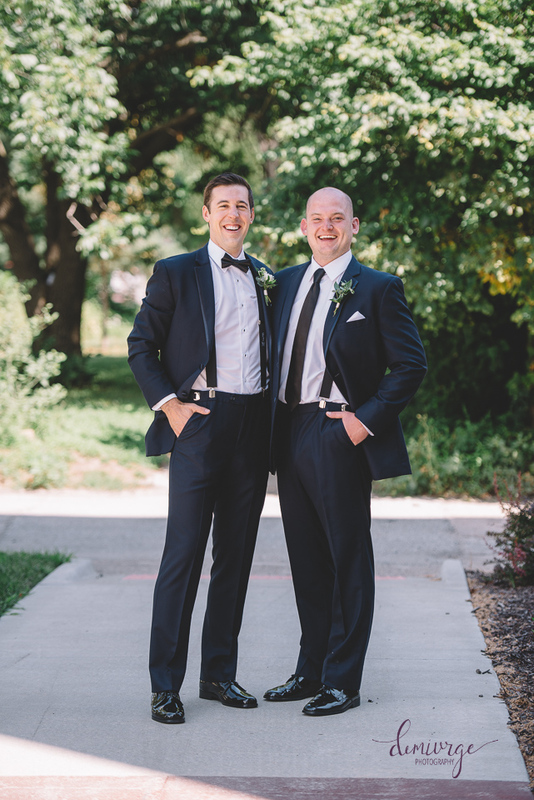 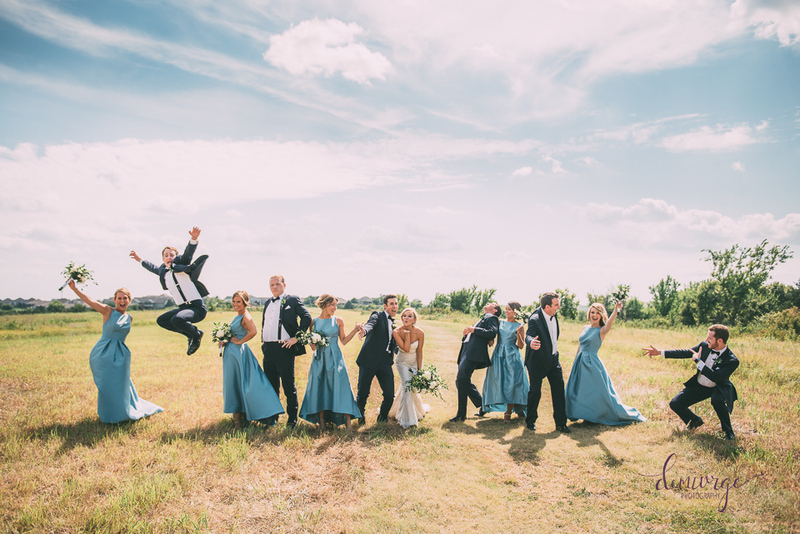 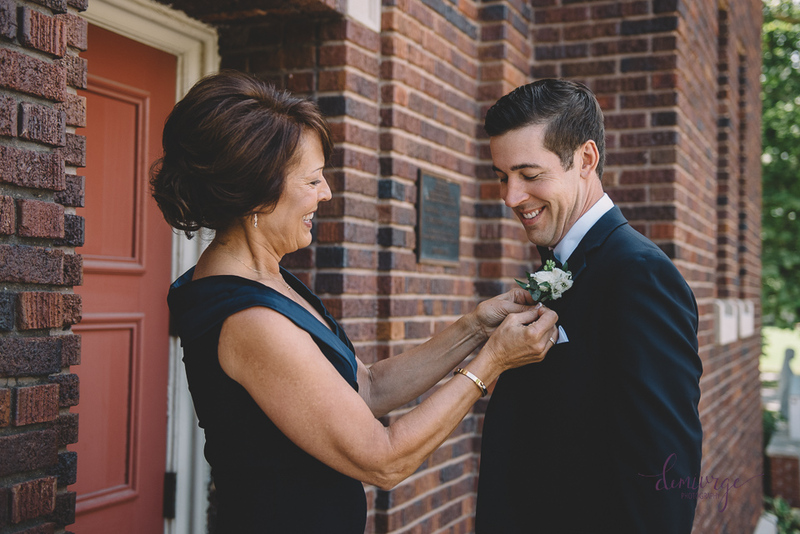 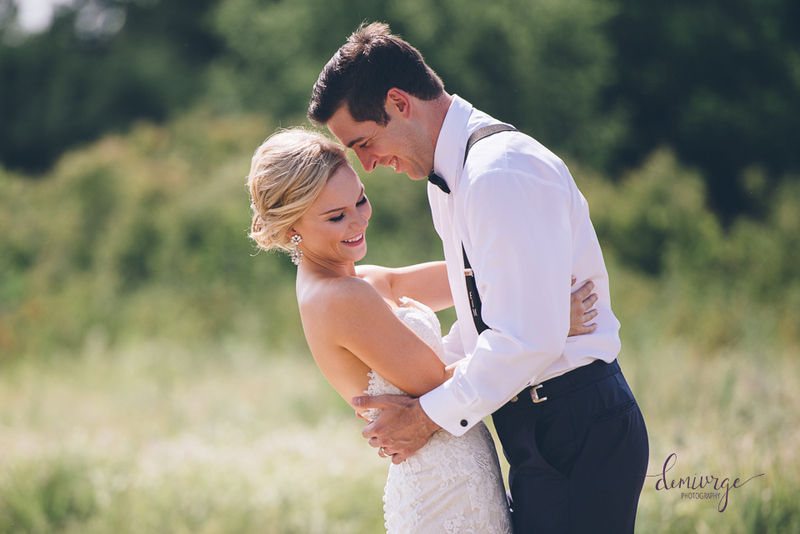 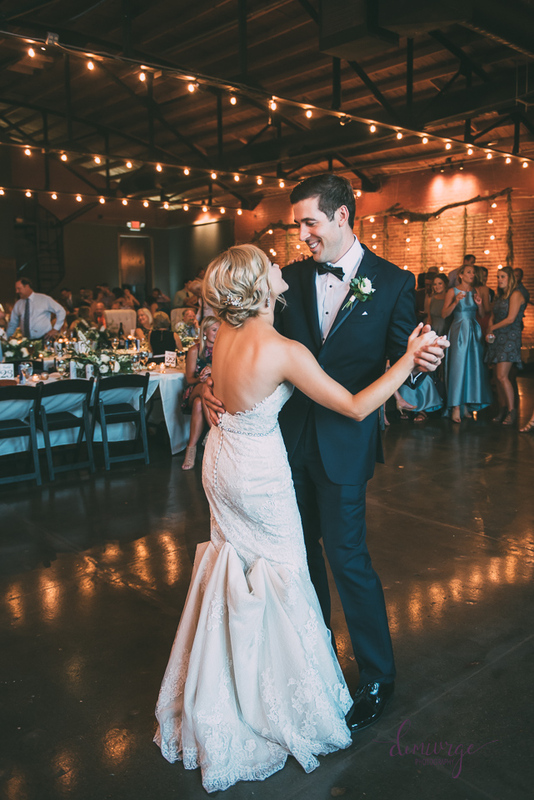 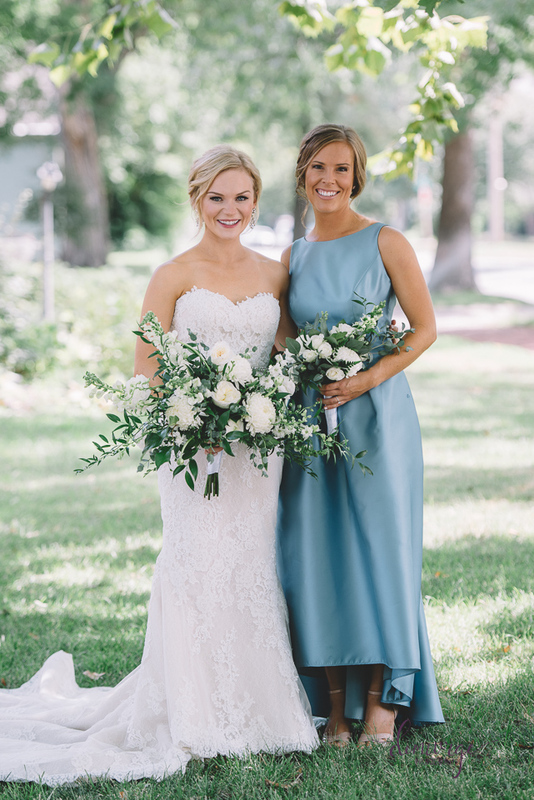 Eric and Erica are an incredibly sweet couple who celebrated their love for each other with a ceremony at Seven Dolors Catholic Parish followed by a gorgeous reception at Eleven Fifteen Venue and Urban Garden in Manhattan, KS! 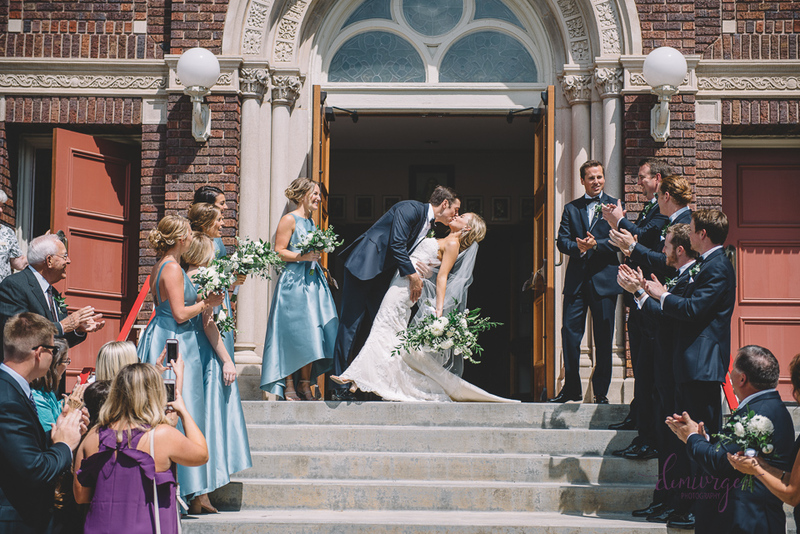 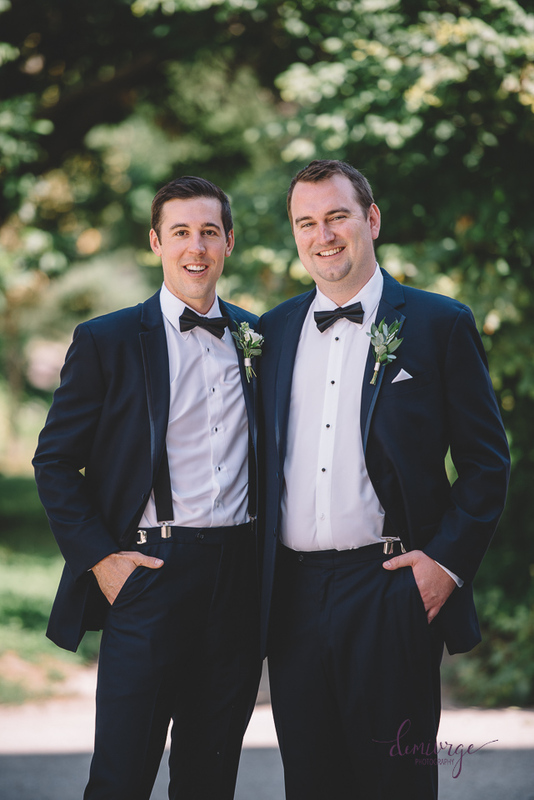 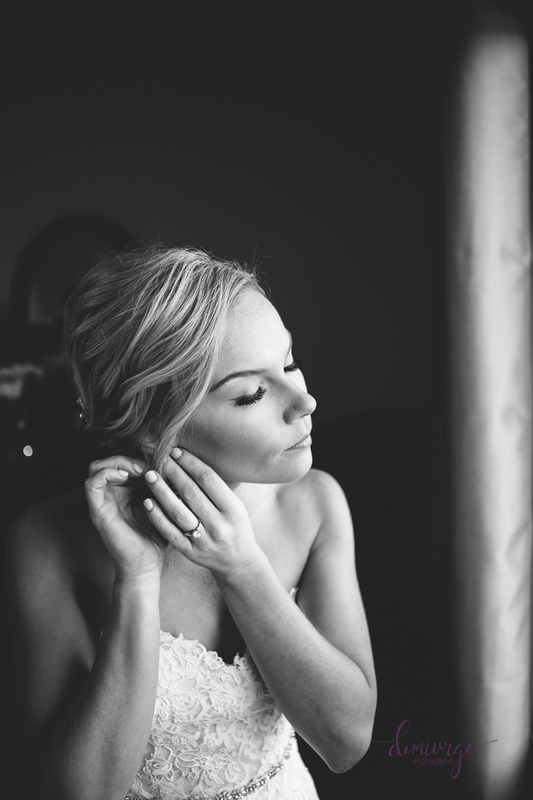 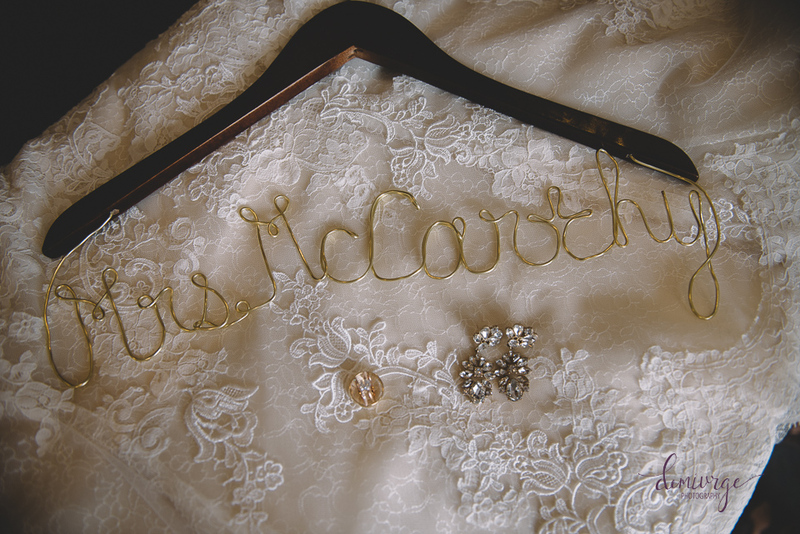 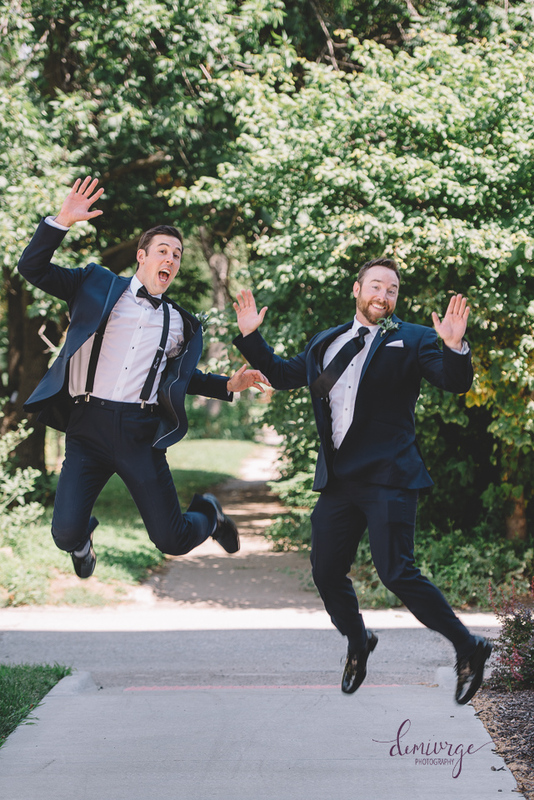 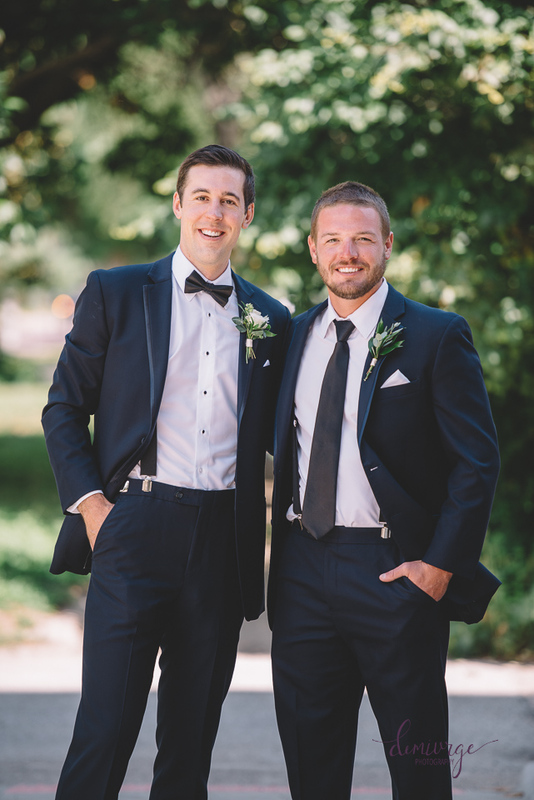 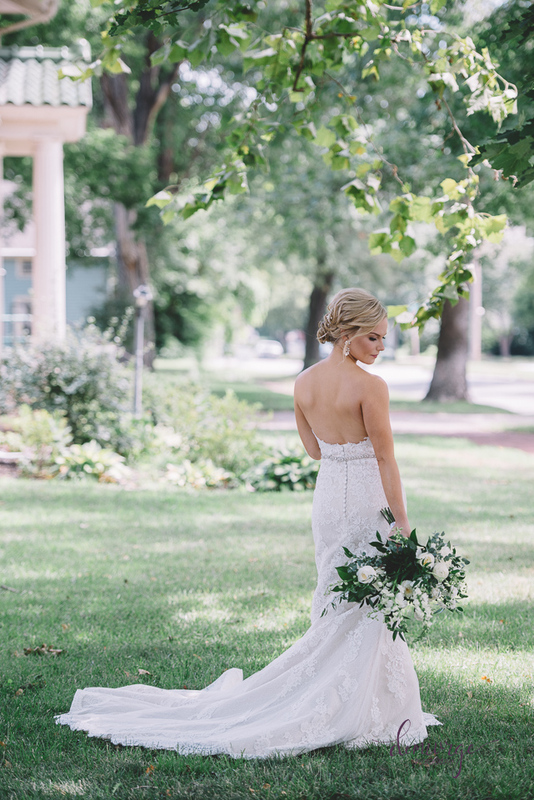 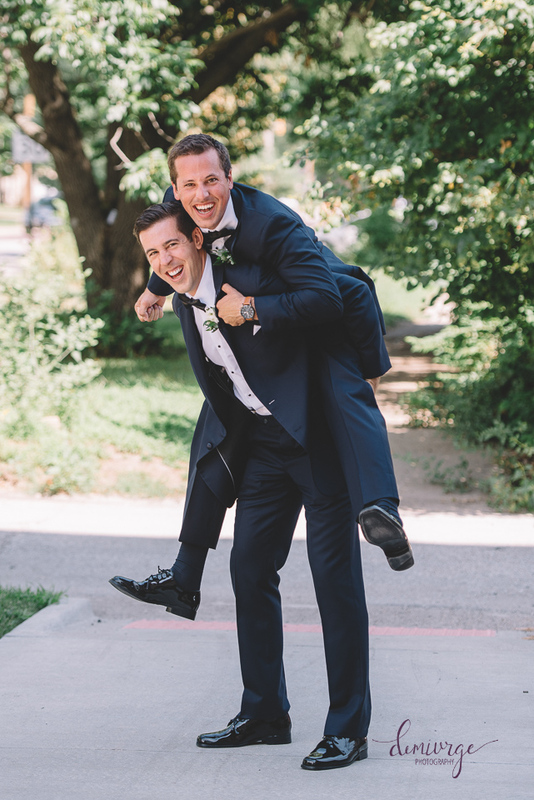 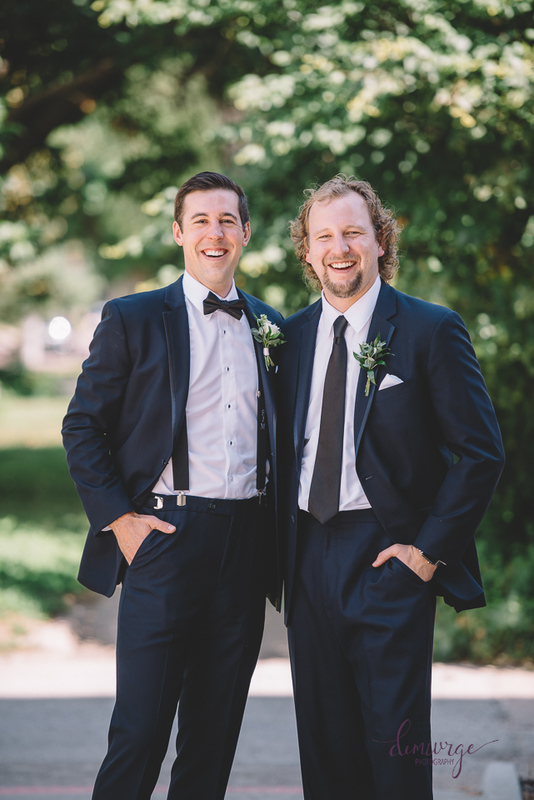 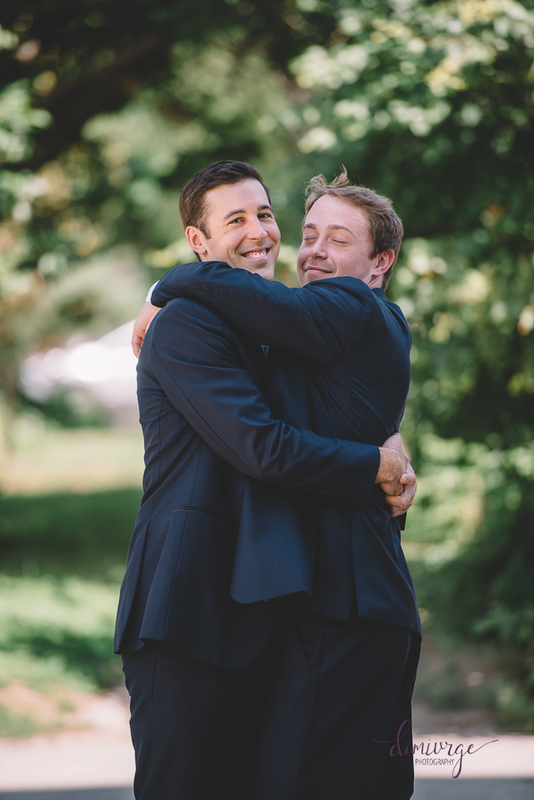 Their wedding day was full of meaningful people and places! 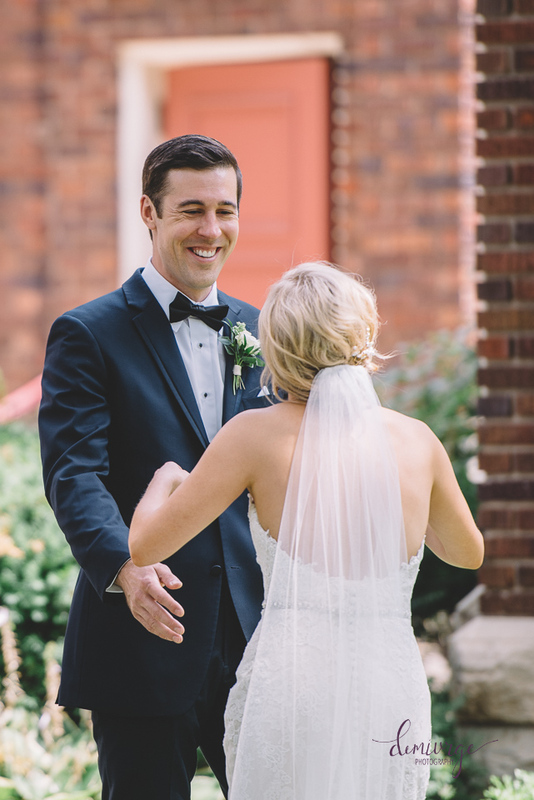 Eric and Erica met in Spring of 2014. 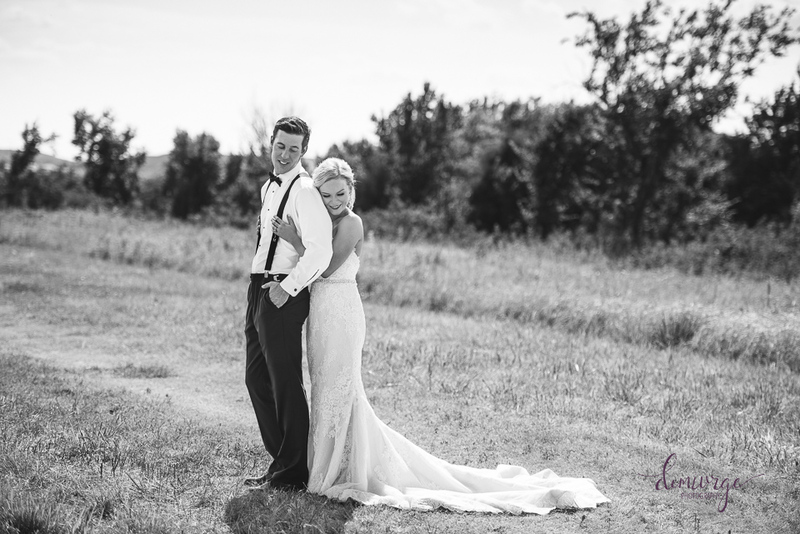 Eric was living and working in Manhattan while Erica was finishing her final semester of graduate school at Kansas State University. 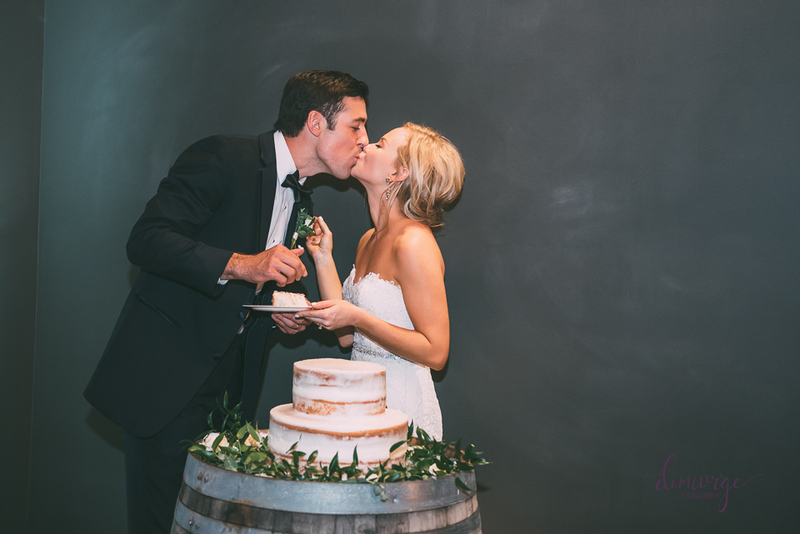 The day following their first date, Eric (a Manhattan native), promised to help Erica check-off her bucket list in the Little Apple before her graduation. 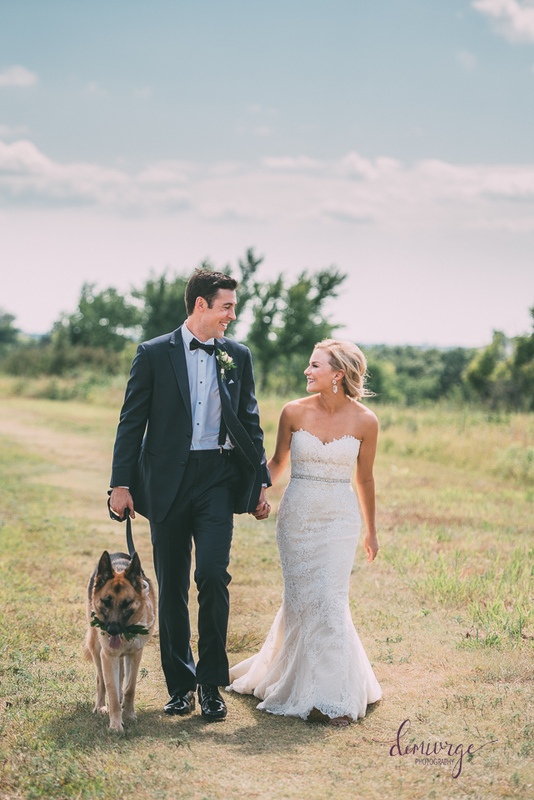 The next day the two took their beloved German Shepard, Peyton, and family beagle, Copper, to Top of The World (local walking trail) and that was it! 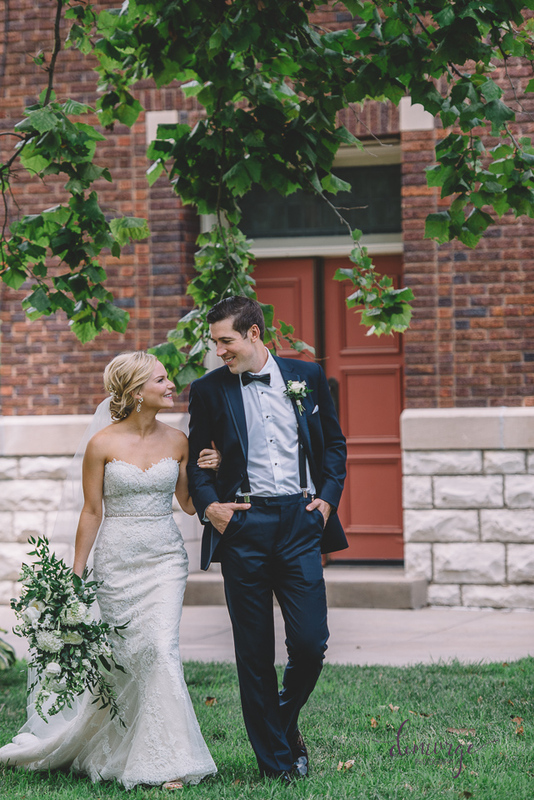 Fast forward over two years later, after some long distance, new jobs, and Eric’s big move to KC, the couple took their favorite Manhattan walk with the same two pups on July 2nd, 2016. 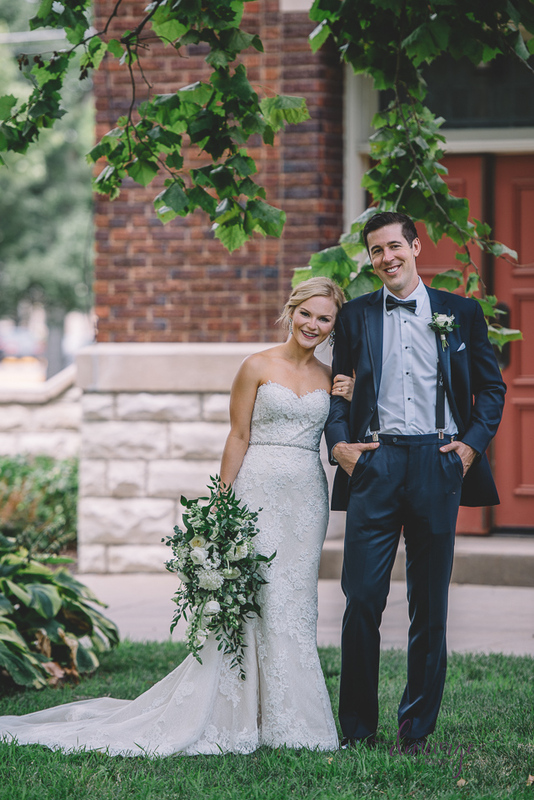 Eric dragged Erica out of the house with the bribe of coffee on the drizzly morning while their family gathered at the McCarthy’s home. 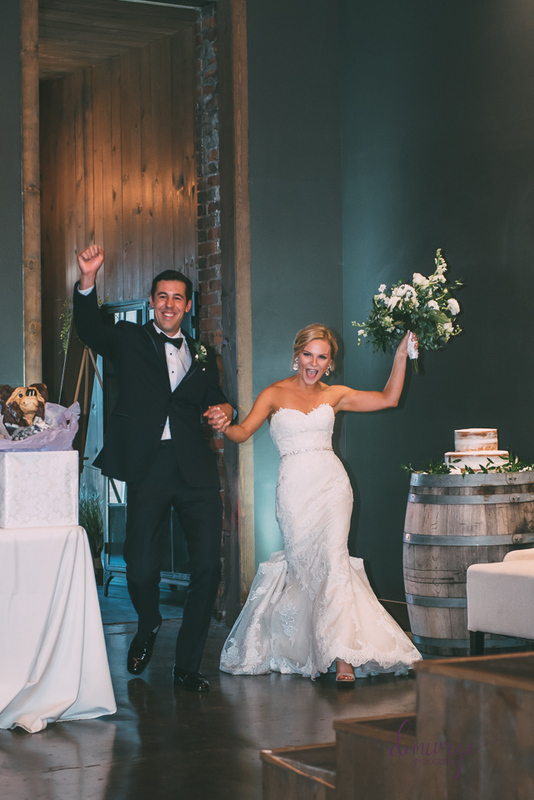 With the pups running ahead, the couple made it to the top. 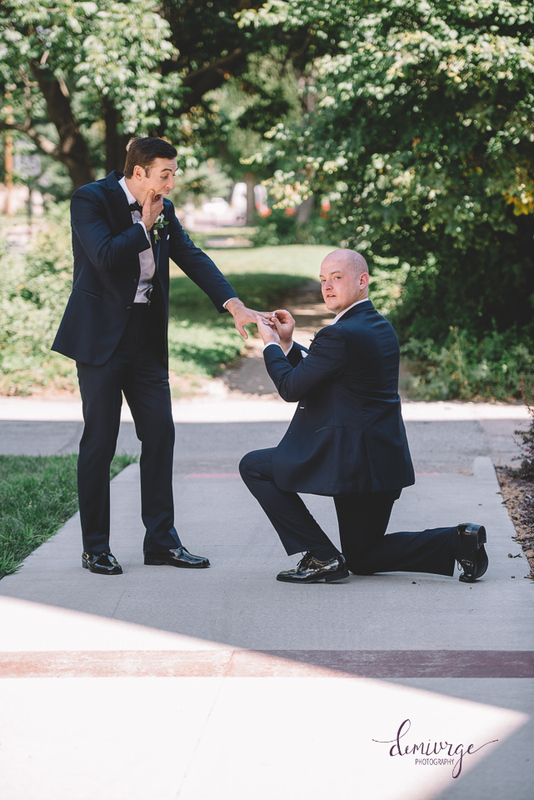 Feeling silly (and apparently oblivious), Erica challenged Eric to a race down the hill; but when she turned around, he was on one knee. 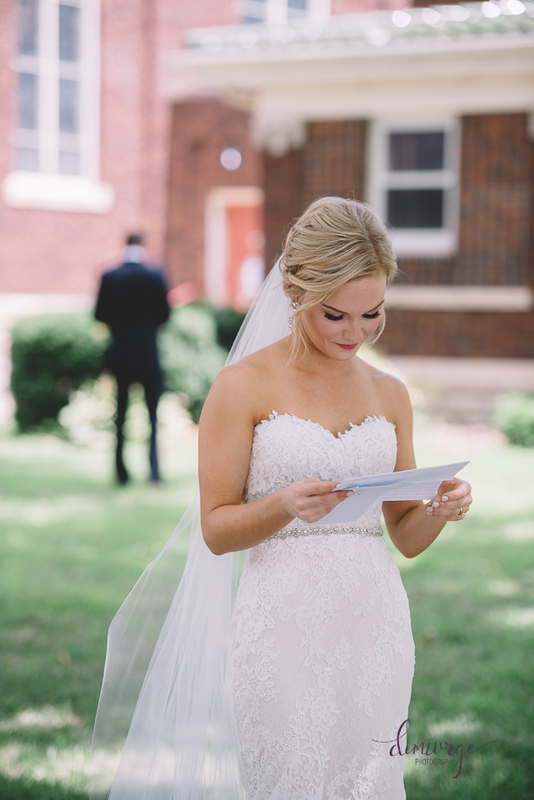 At that moment she said yes to the easiest question she’d ever been asked and they were both on Top of the World … quite literally! 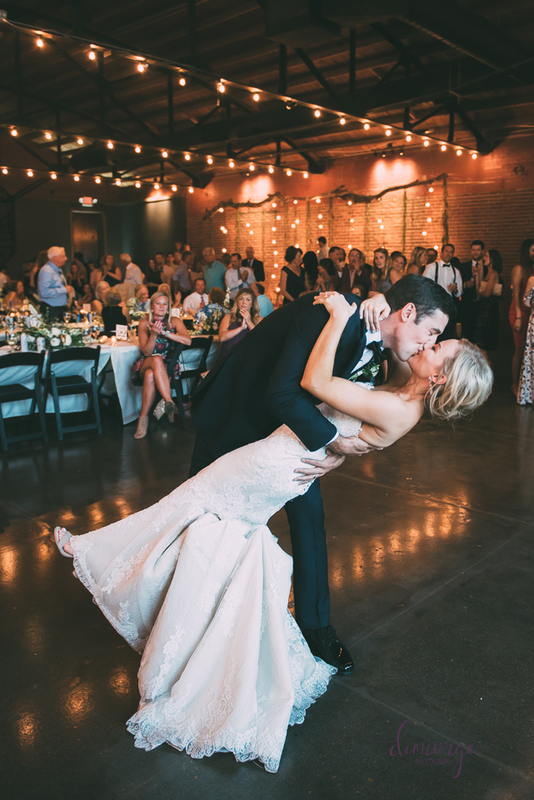 After the proposal, the couple was welcomed back by their immediate family with tears, laughter, hugs, and mimosas! 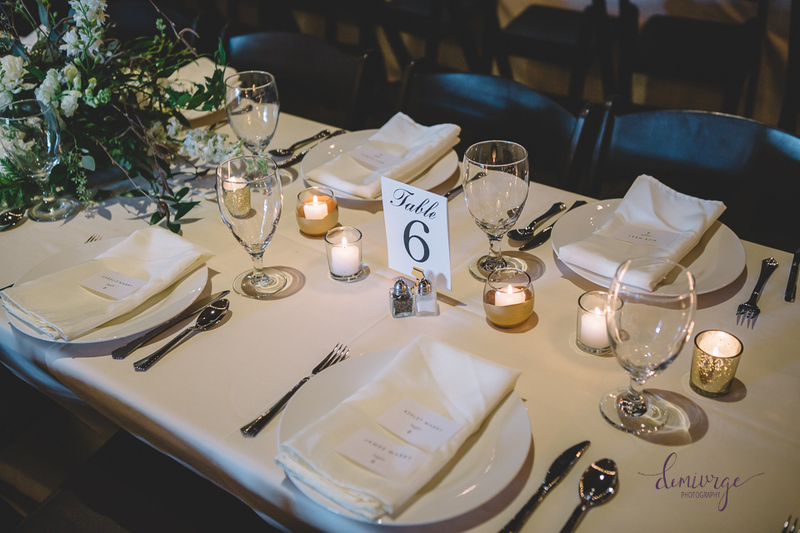 And now just a little over a year later, Eric and Erica were married in Manhattan as it was the place they found each other. 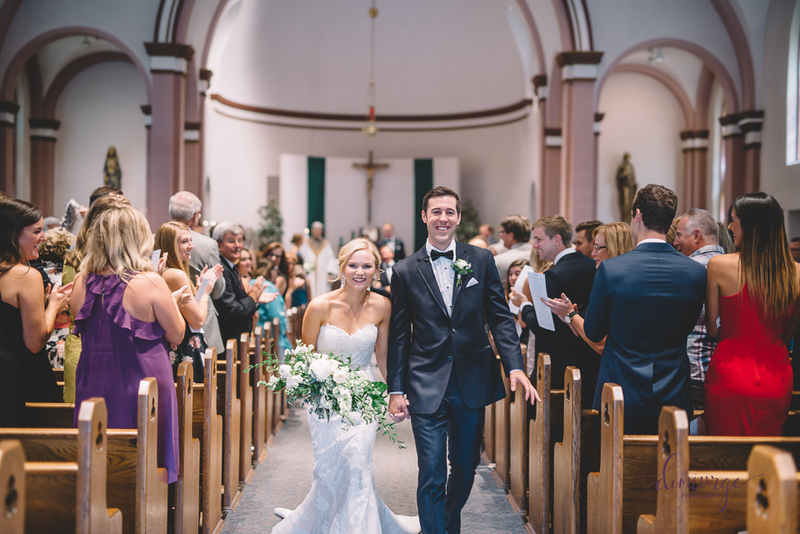 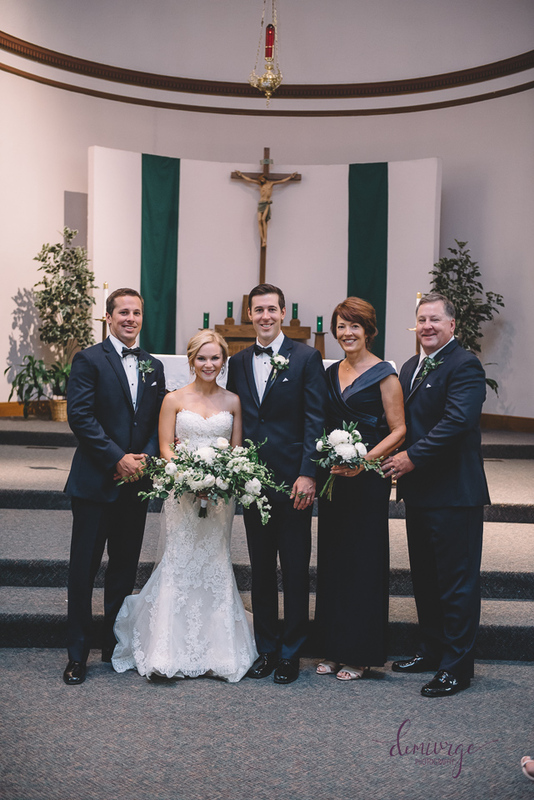 To make it even more special, they got married at Seven Dolors Catholic Parish, which is the same church as Eric’s parents’ wedding! 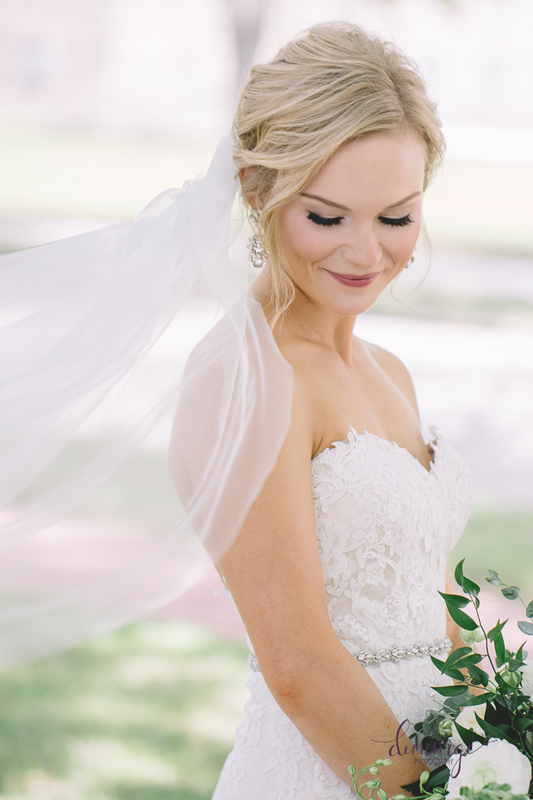 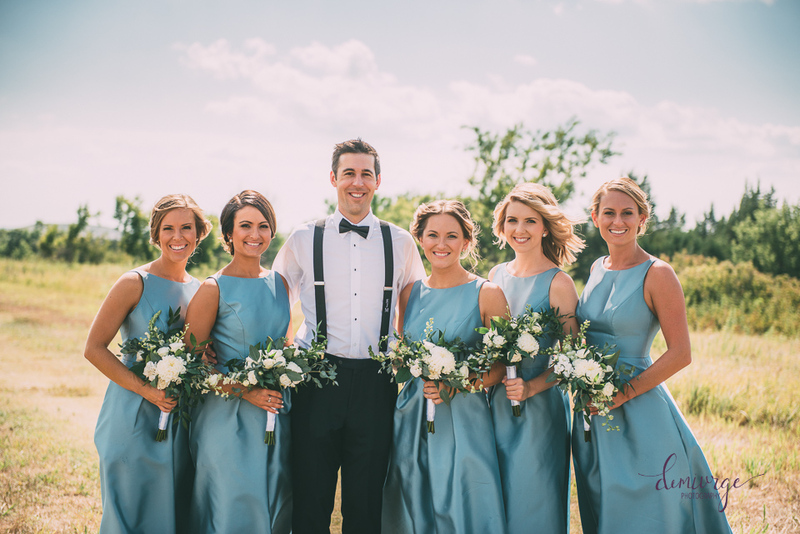 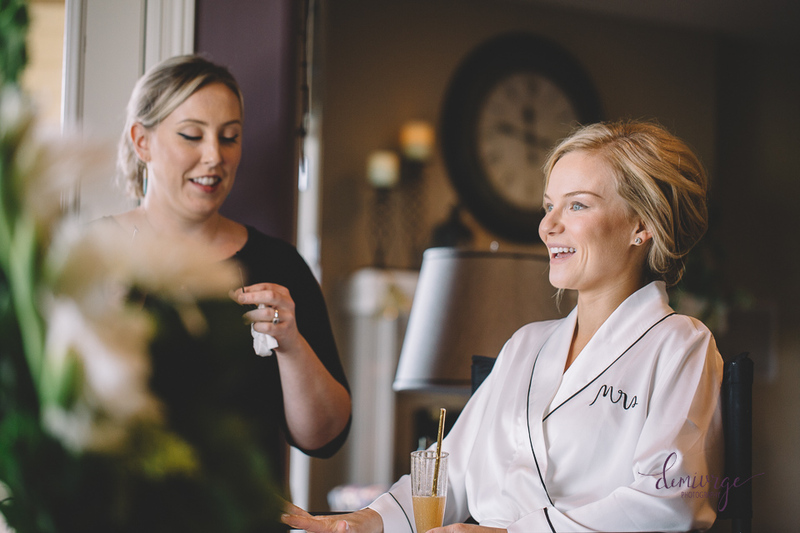 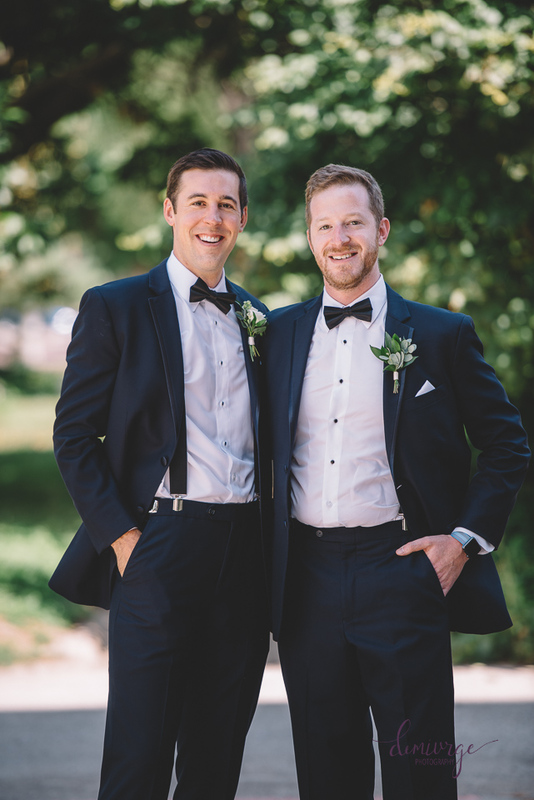 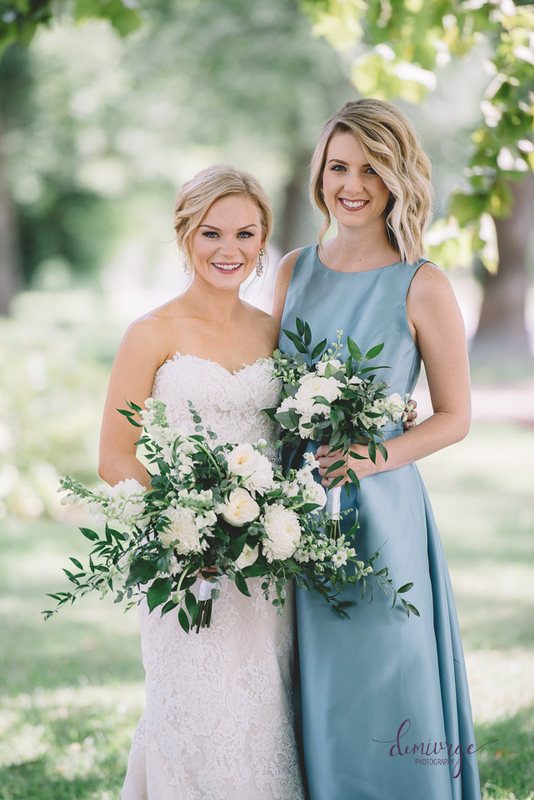 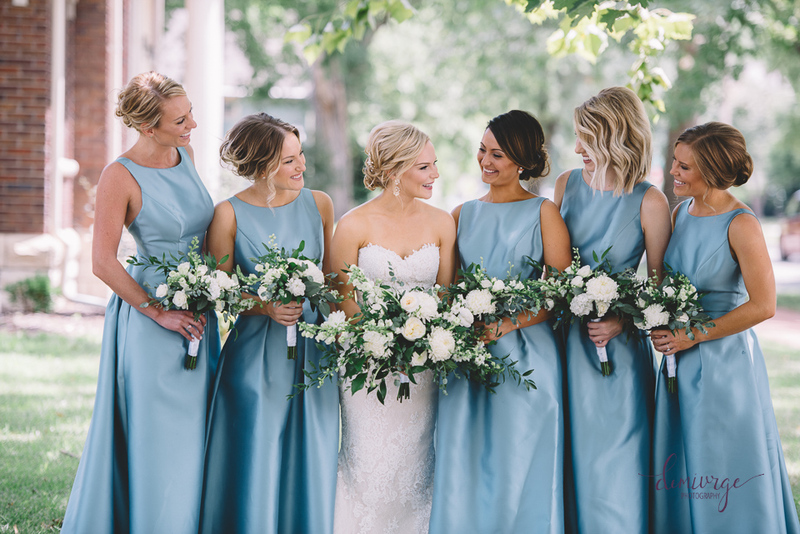 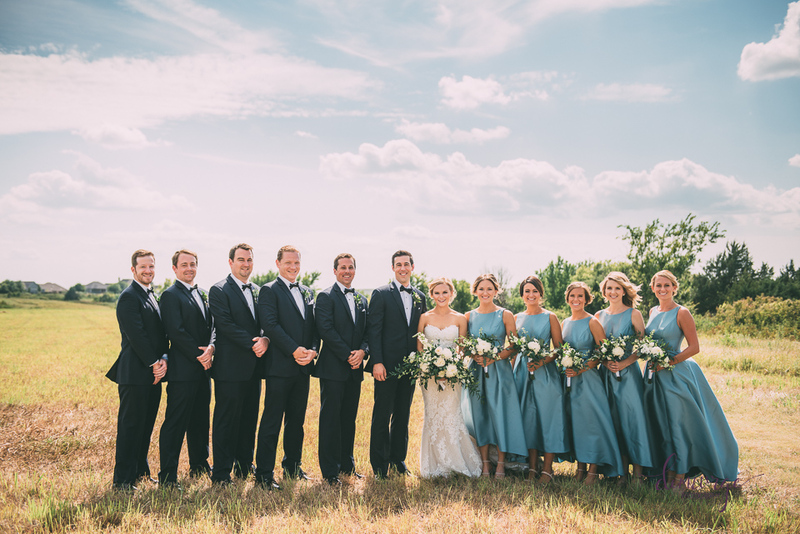 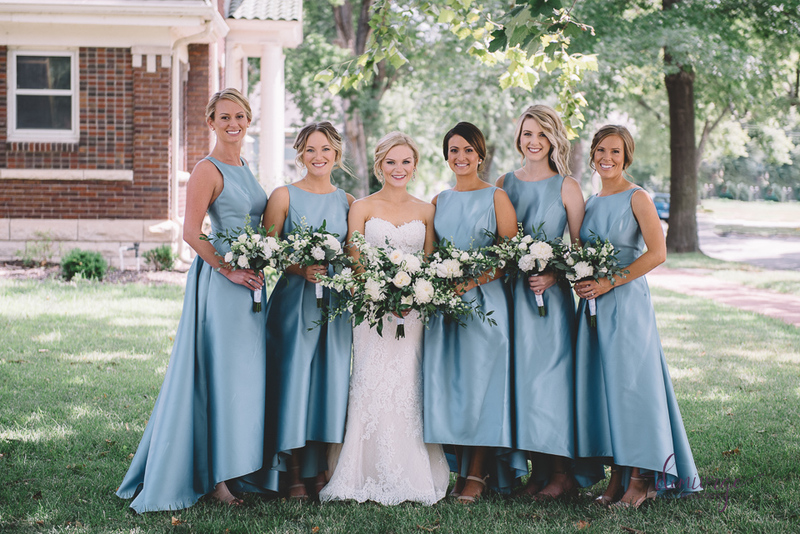 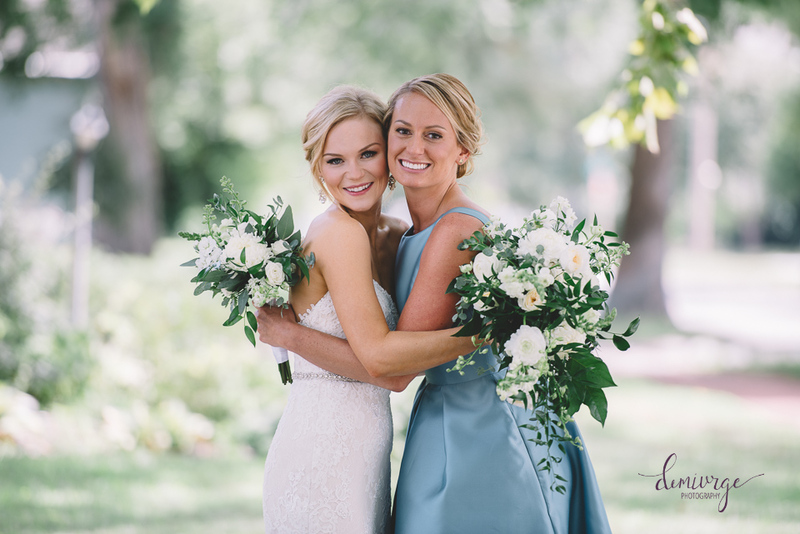 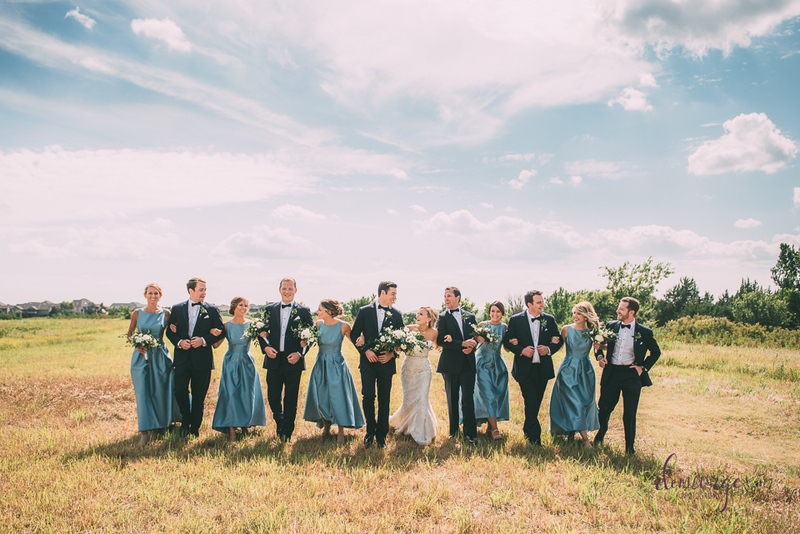 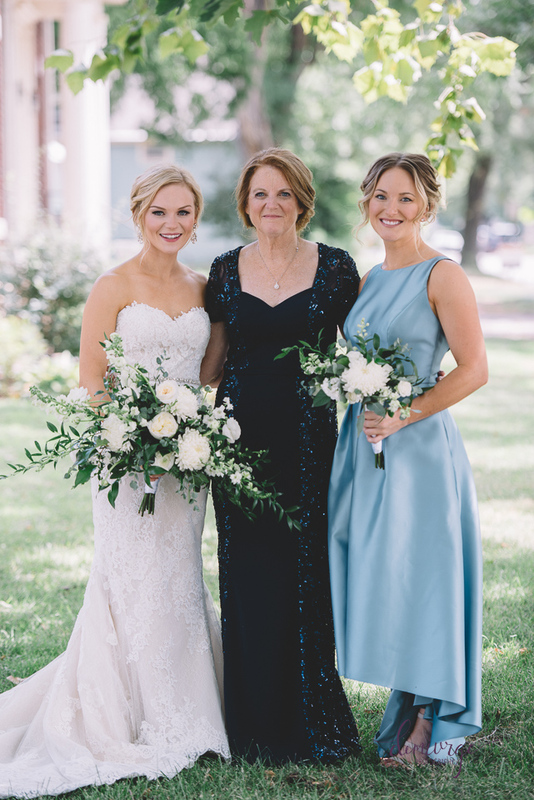 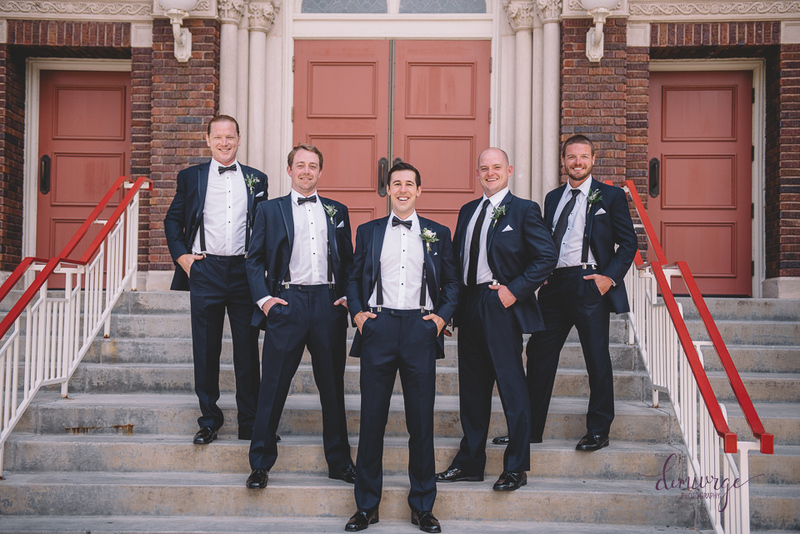 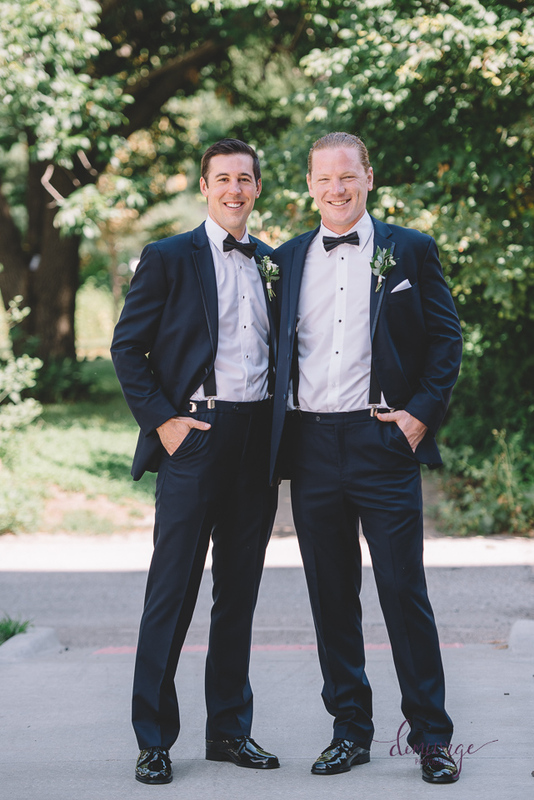 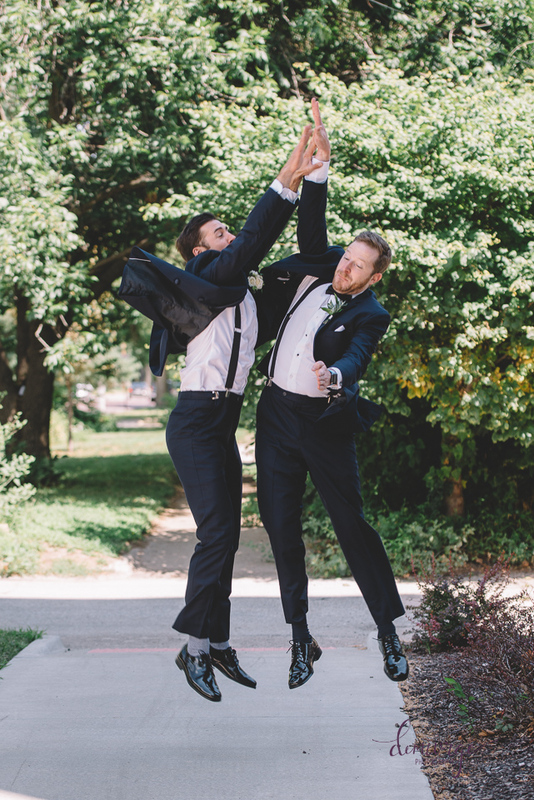 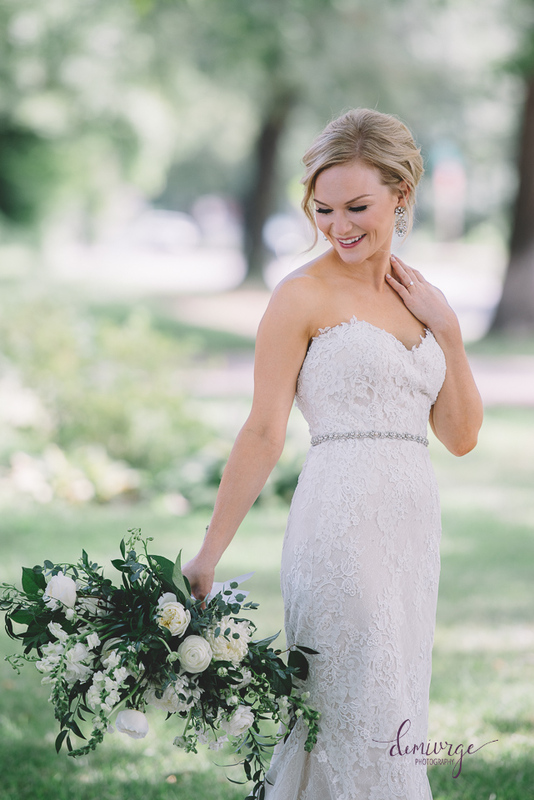 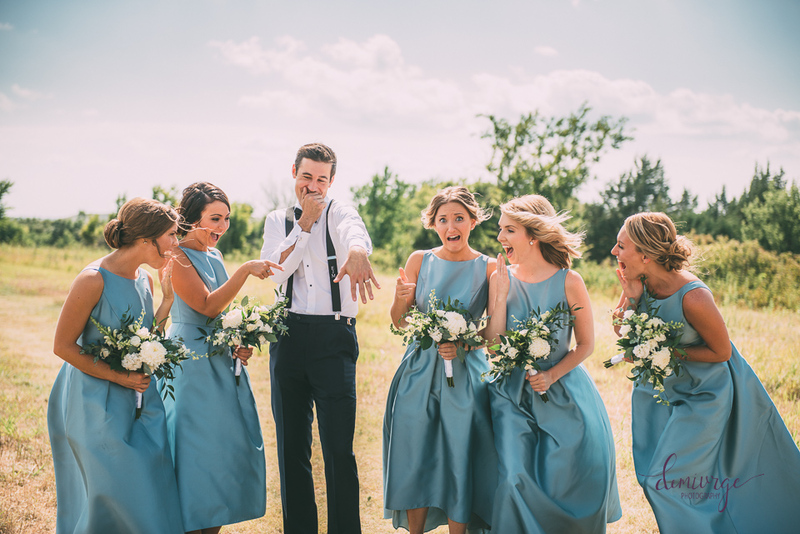 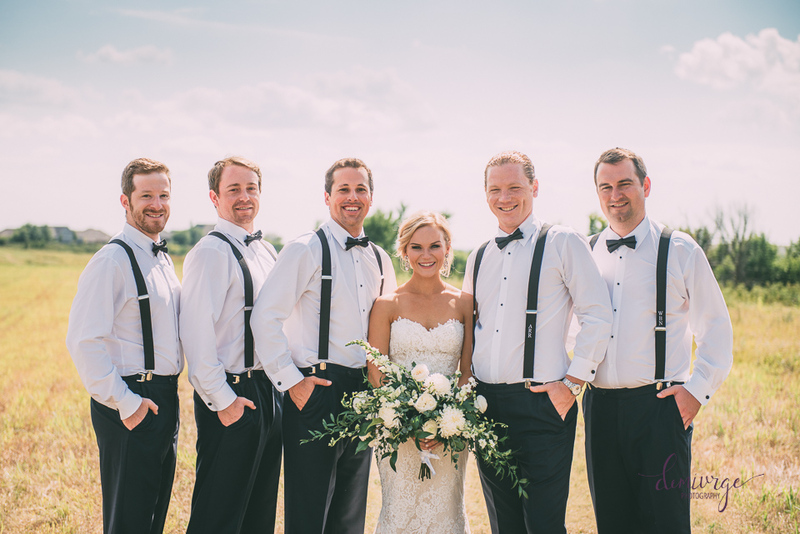 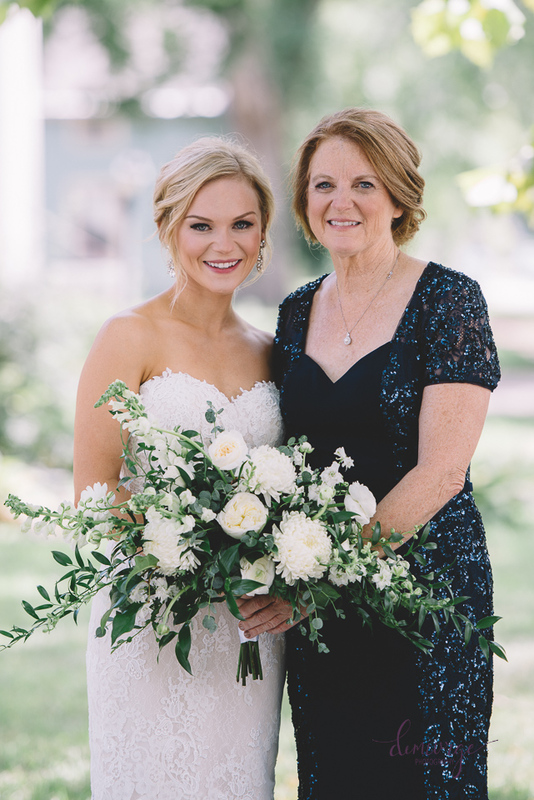 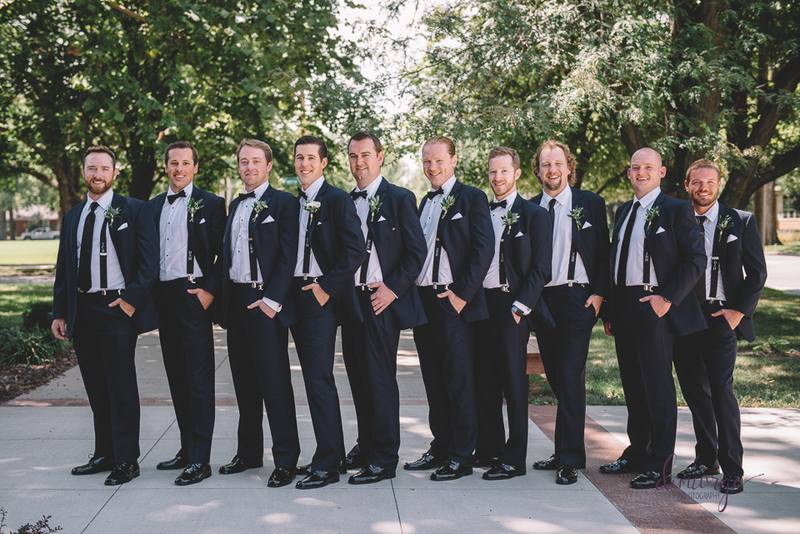 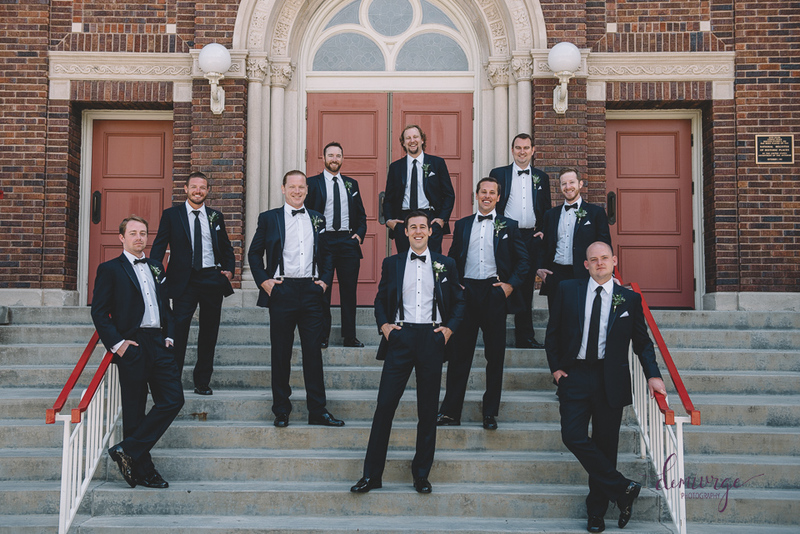 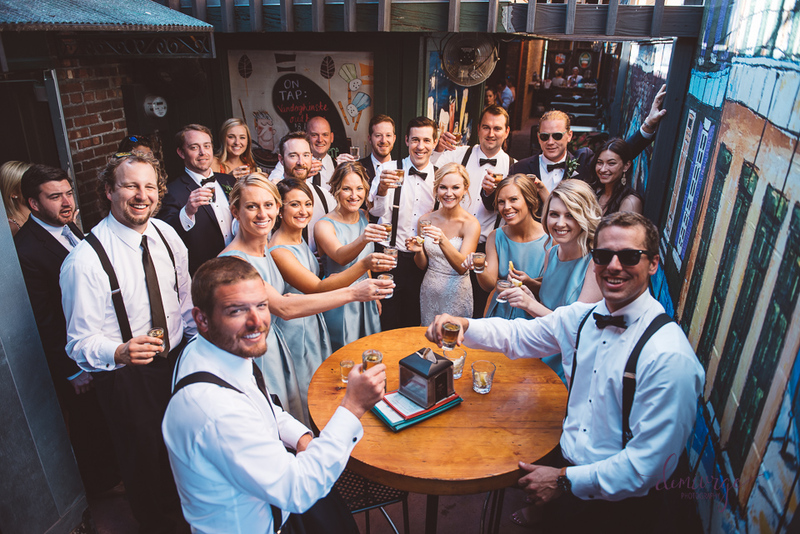 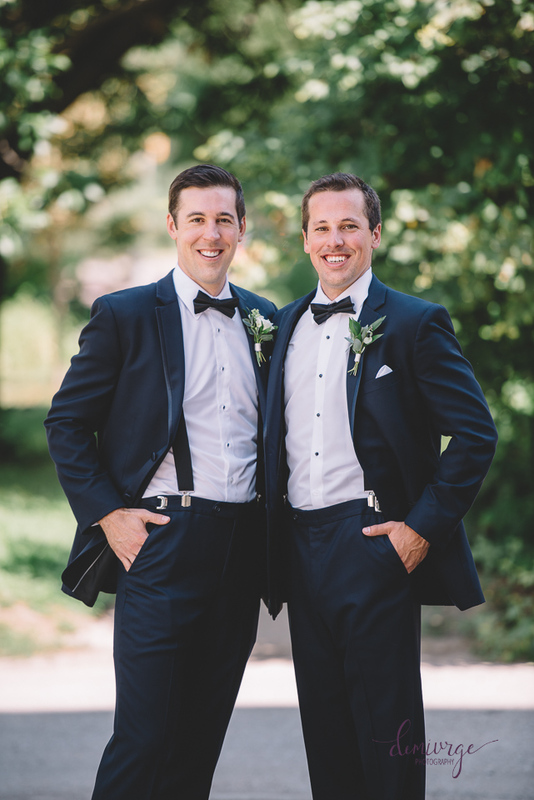 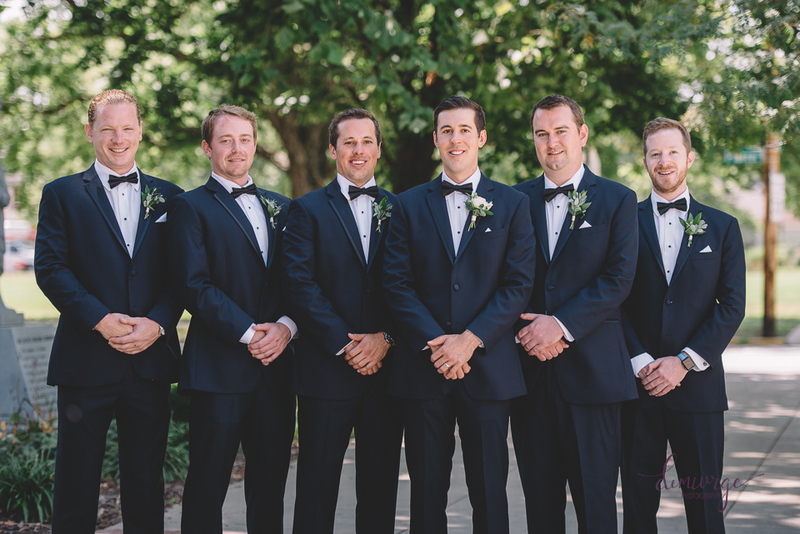 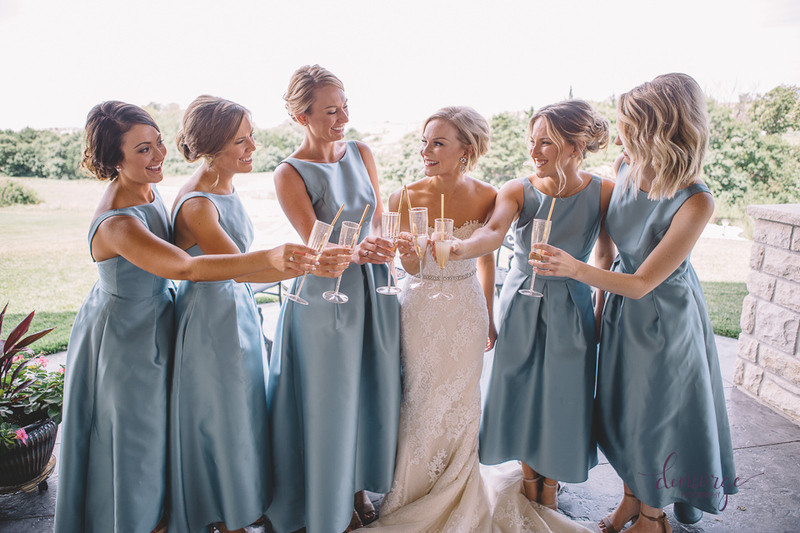 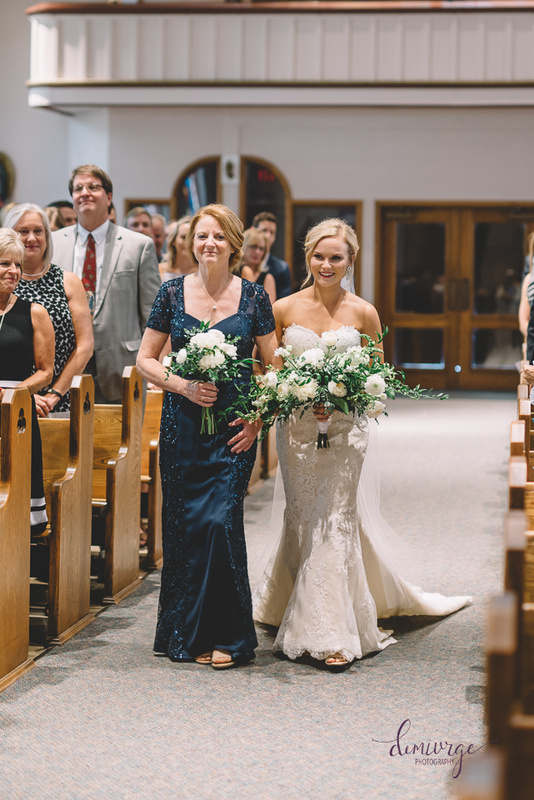 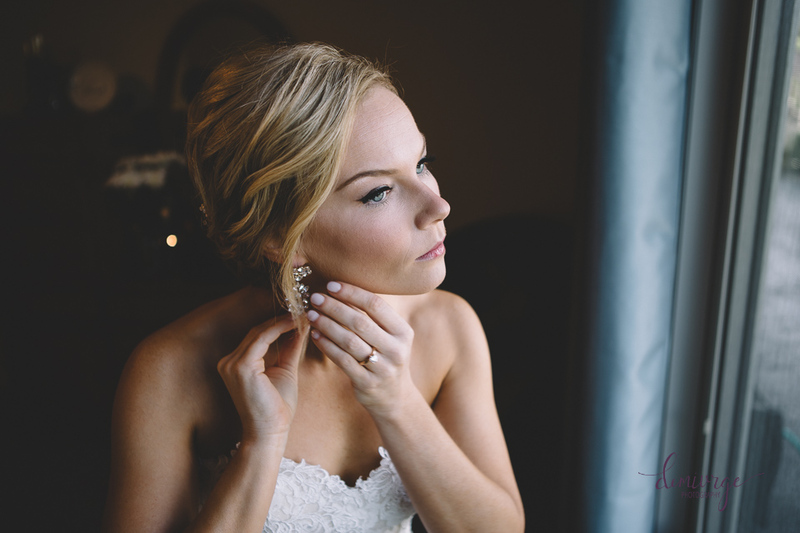 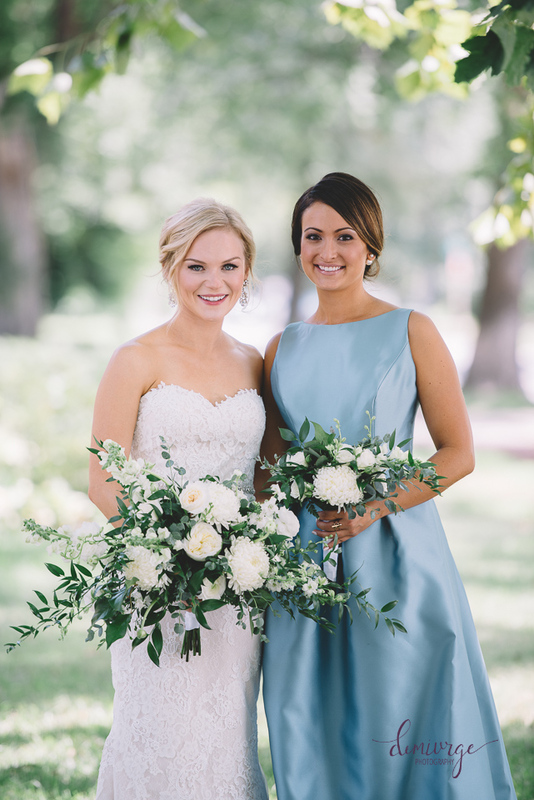 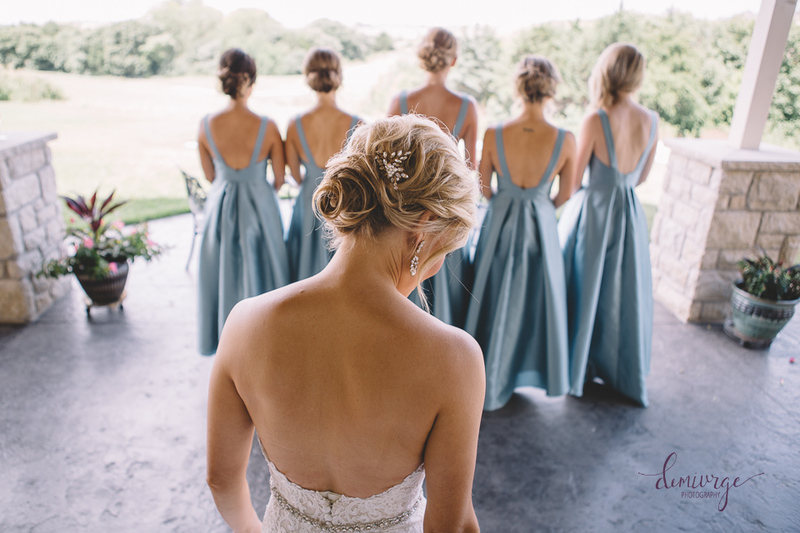 Their day began with everyone getting ready — the ladies were gathered at a friends’ home and the guys were gathered at the Bluemont Hotel. 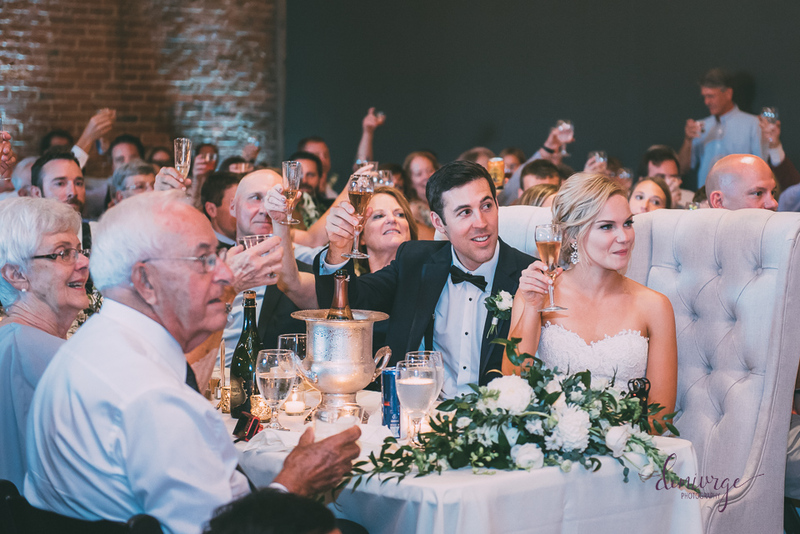 After everyone was ready, the ladies celebrated with a champagne toast while the guys were having a hilarious photo session! 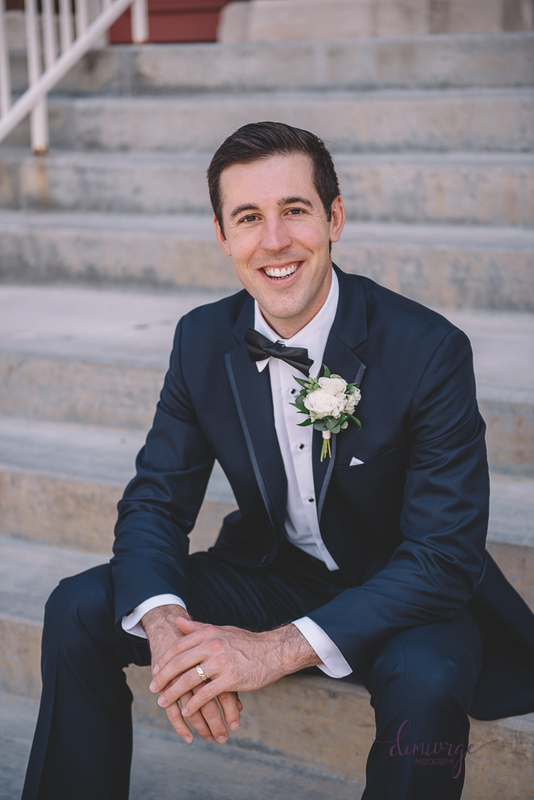 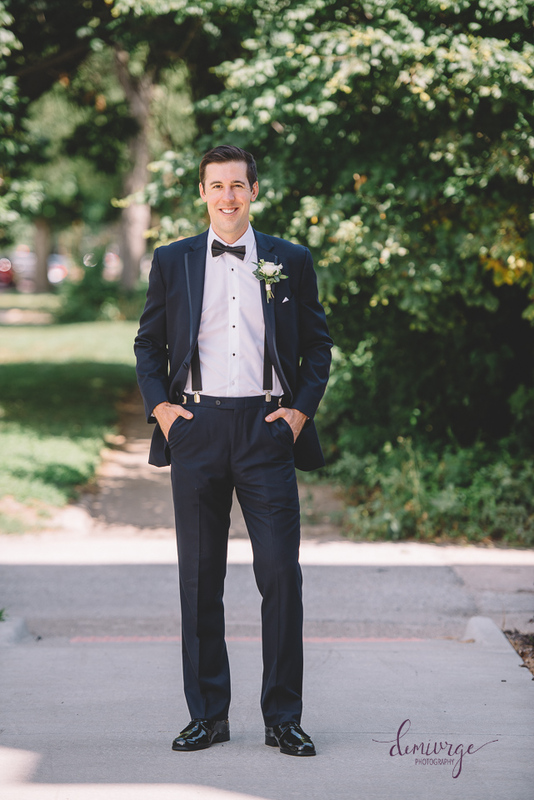 After the guys had their fun, it was time to take a few of Eric as he was looking quite dapper! 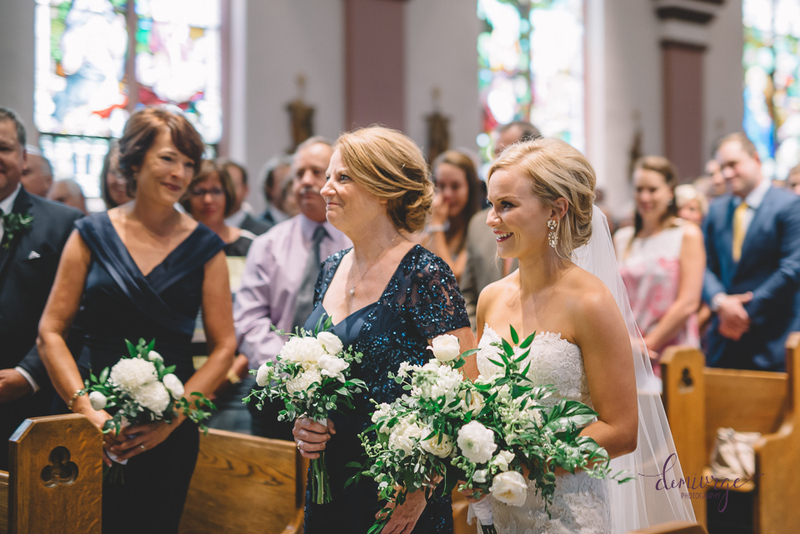 When the ladies arrived to the church, we captured Erica’s elegance and her beautiful bridesmaids! 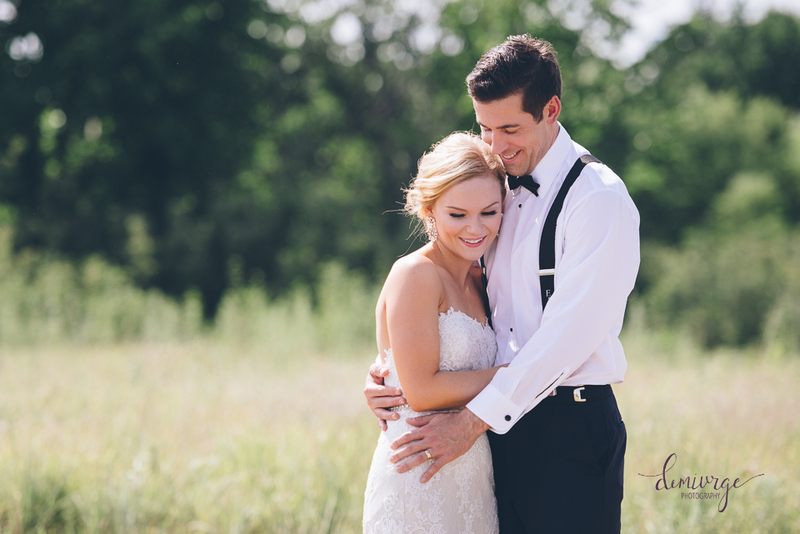 Then it was time for their first look! 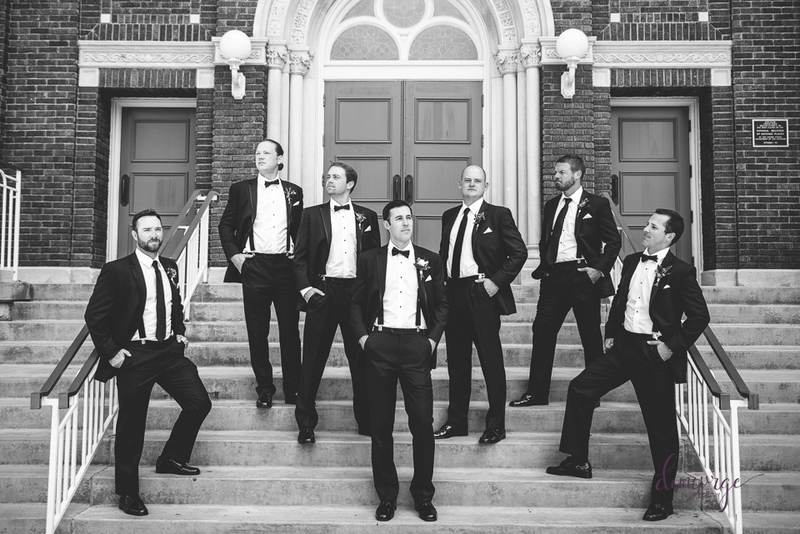 After their ceremony, we got on the party bus and headed to “Top of the World” where Eric had proposed for some wedding party photos and bride and groom portraits! 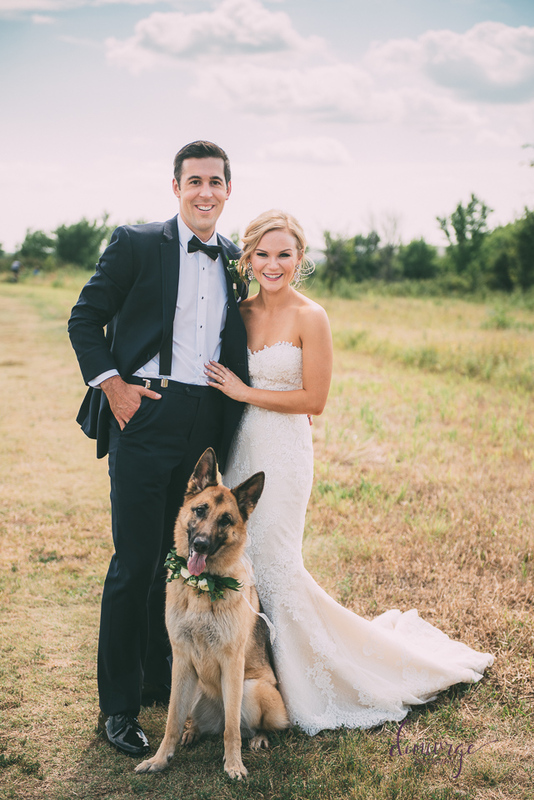 And of course, we had to include their sweet (and super photogenic) pup, Peyton! 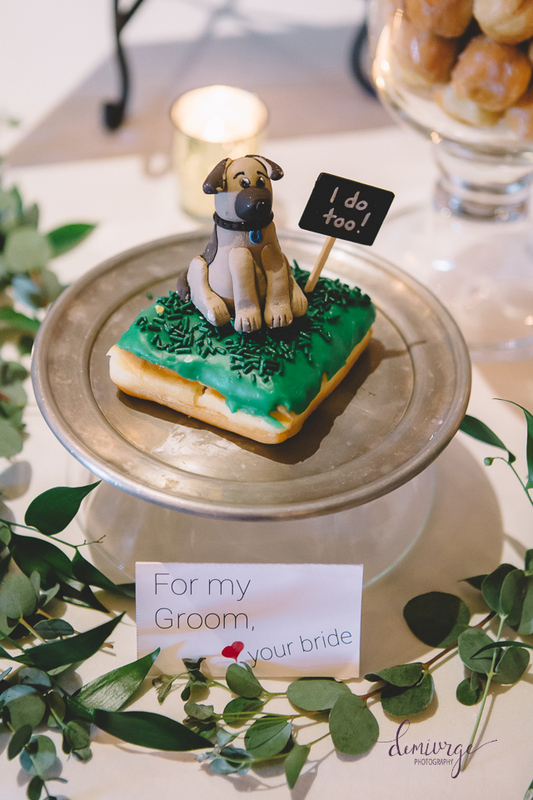 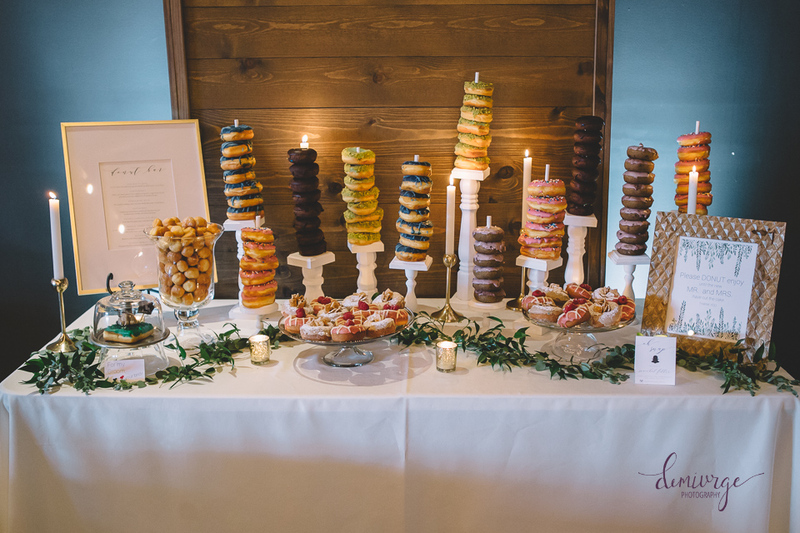 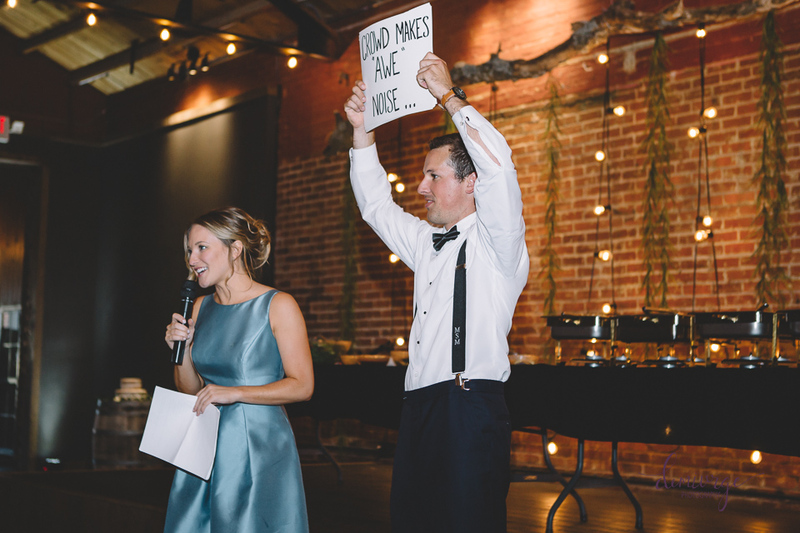 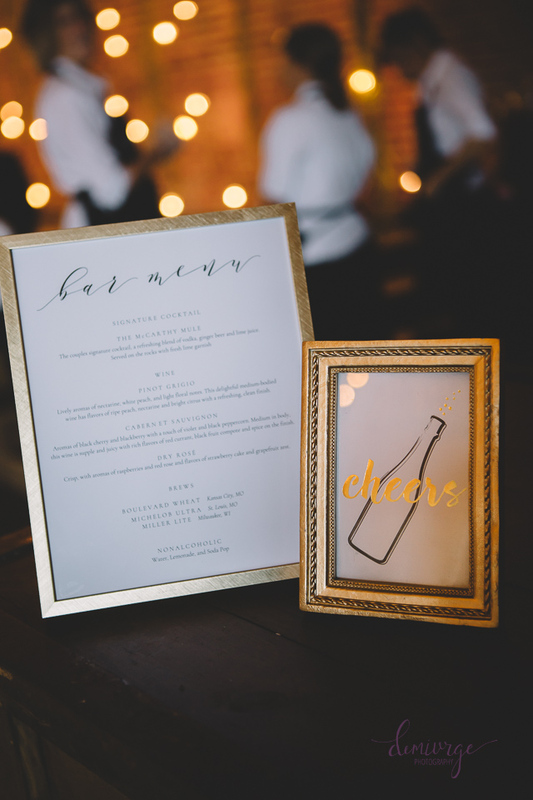 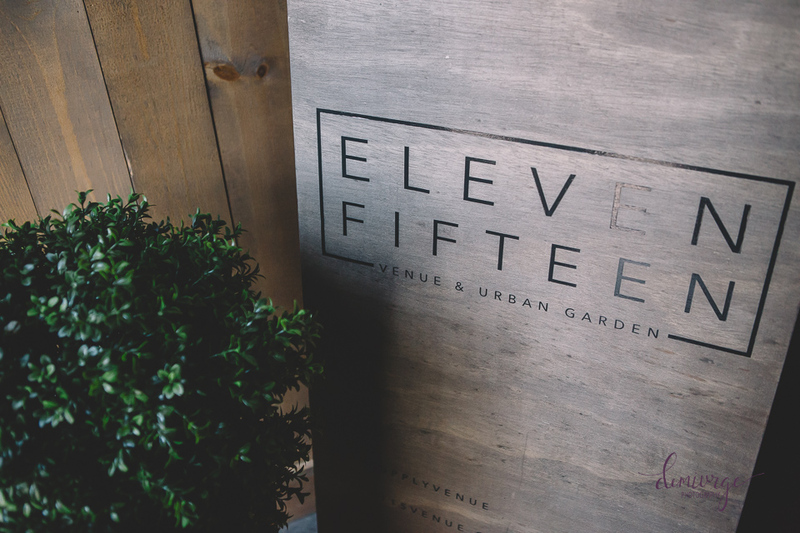 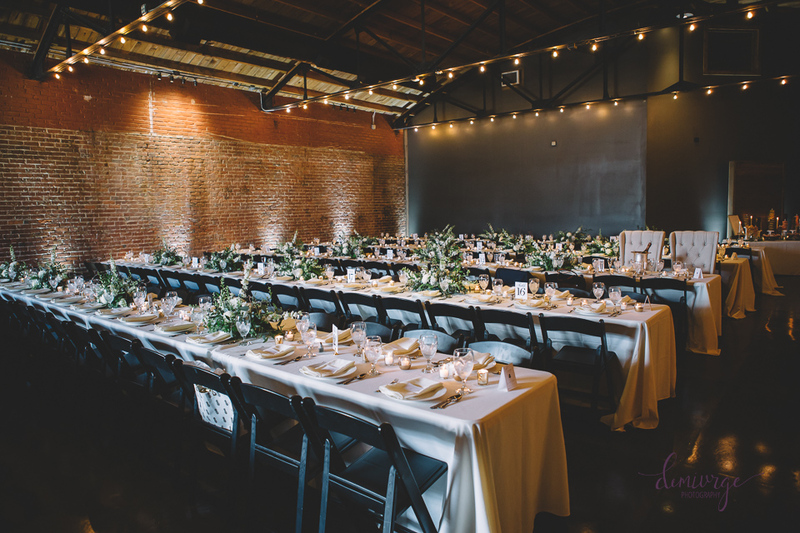 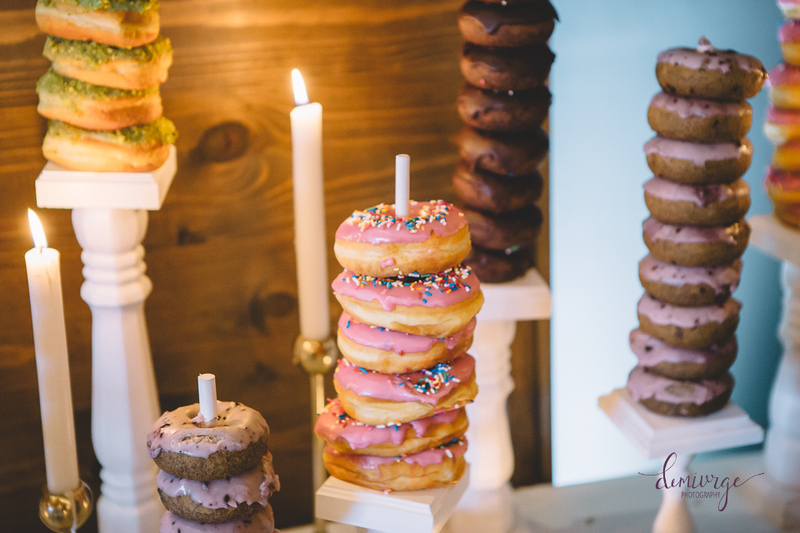 When it was time for their reception, we headed to Eleven Fifteen Urban Garden and Venue where it was elegantly decorated, complete with donut bar! 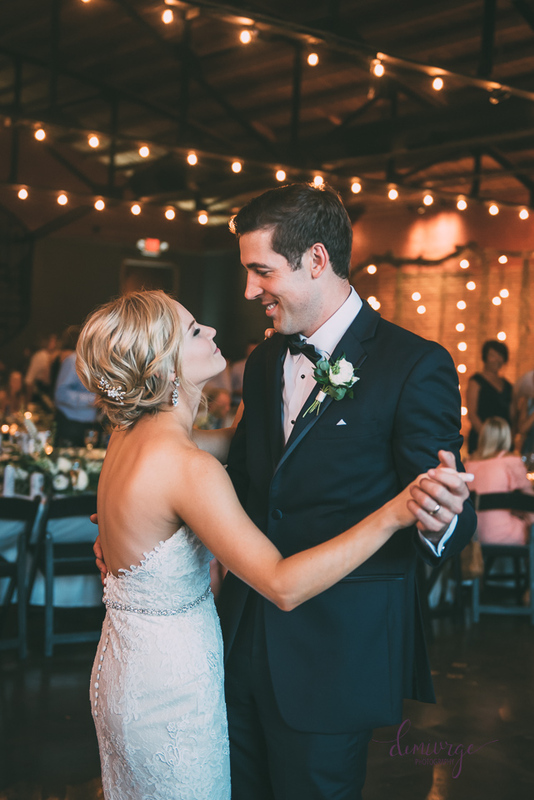 Eric, Erica, and their guests enjoyed dinner and then danced the night away!